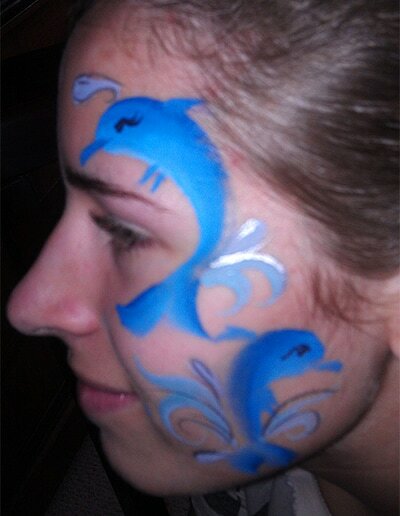 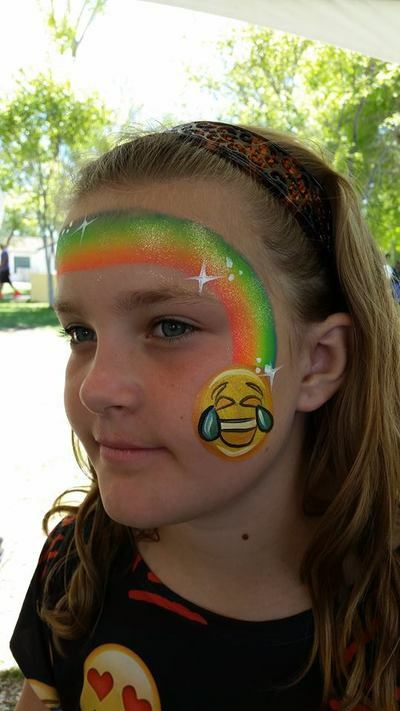 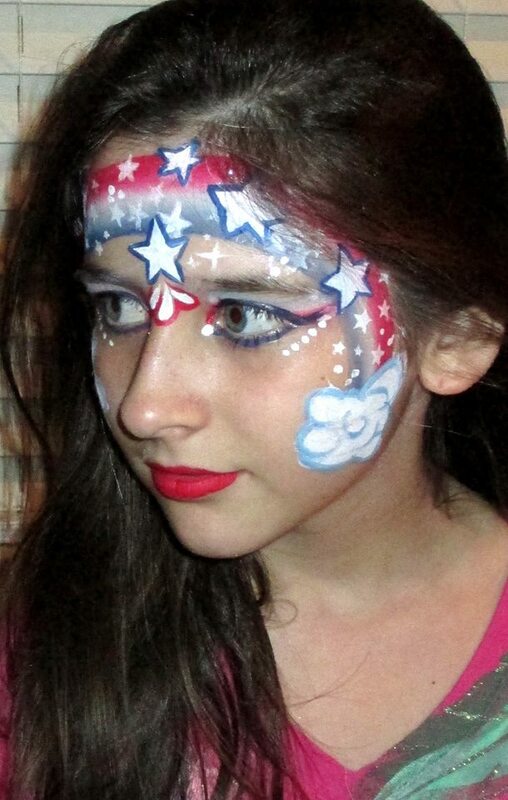 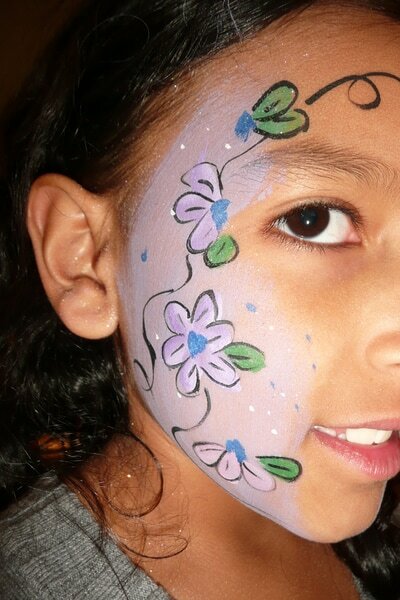 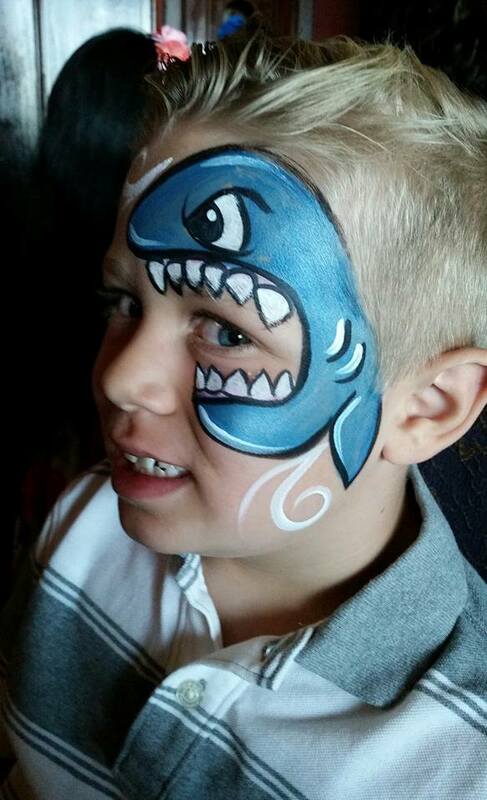 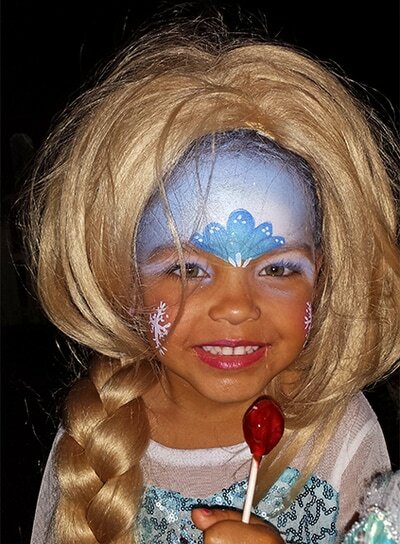 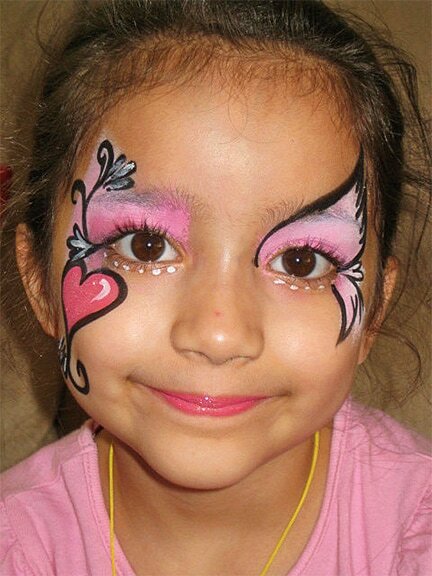 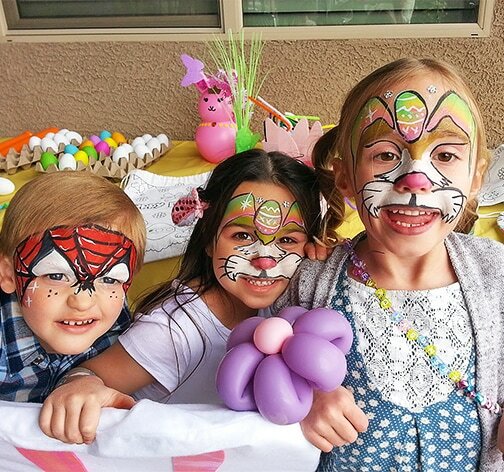 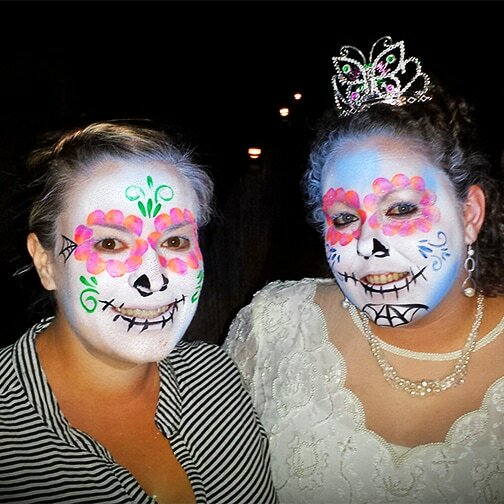 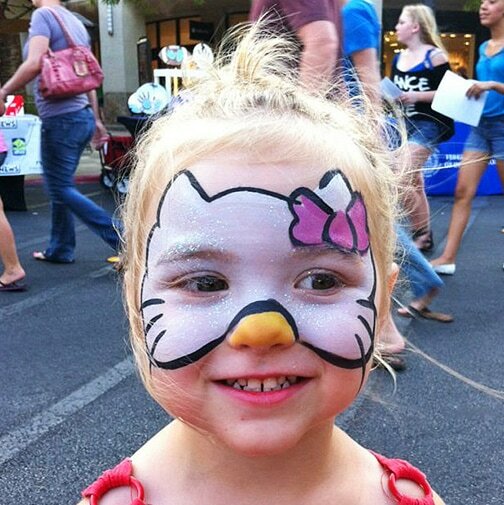 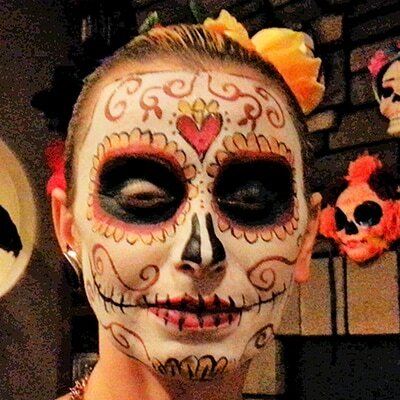 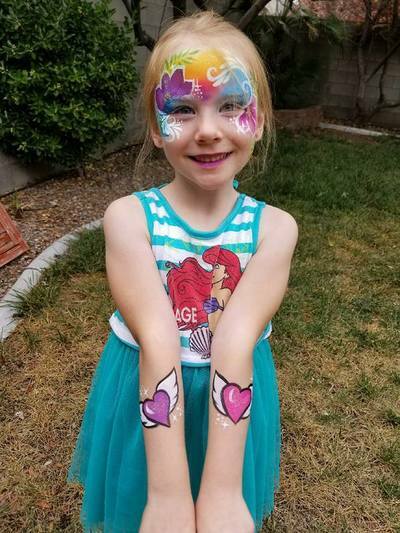 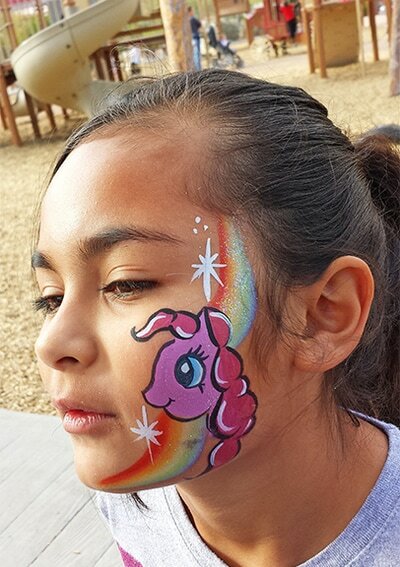 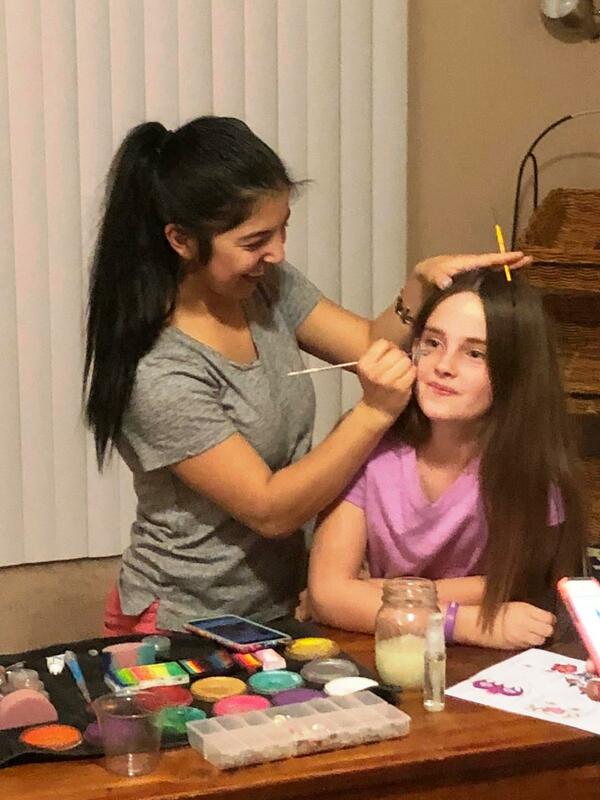 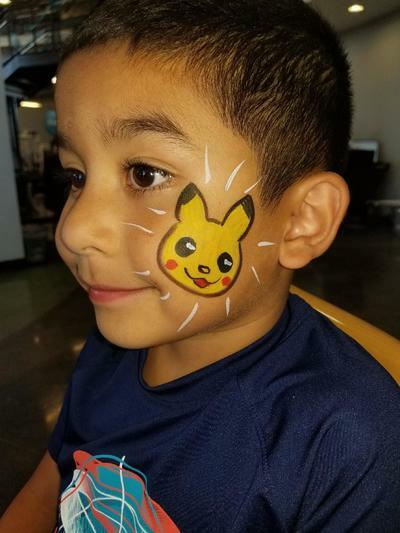 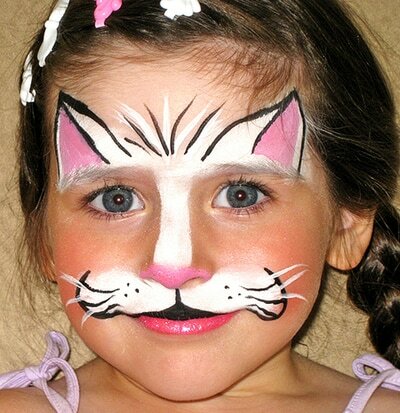 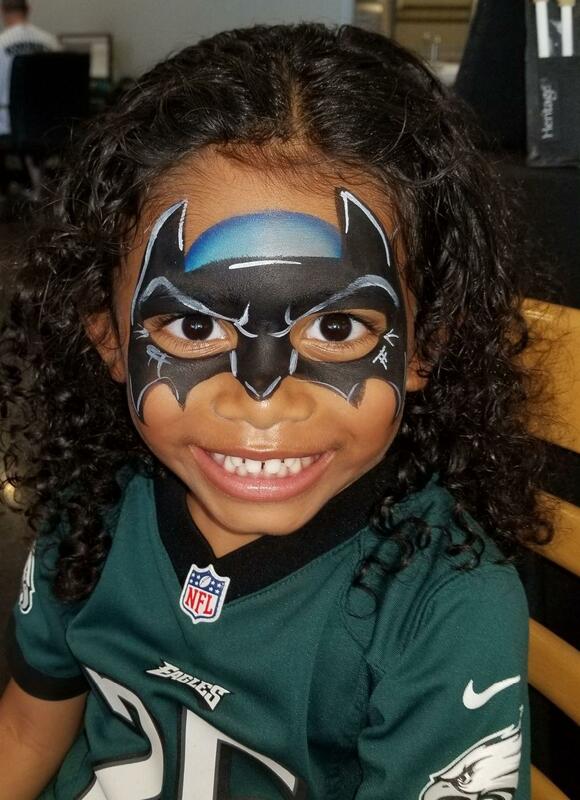 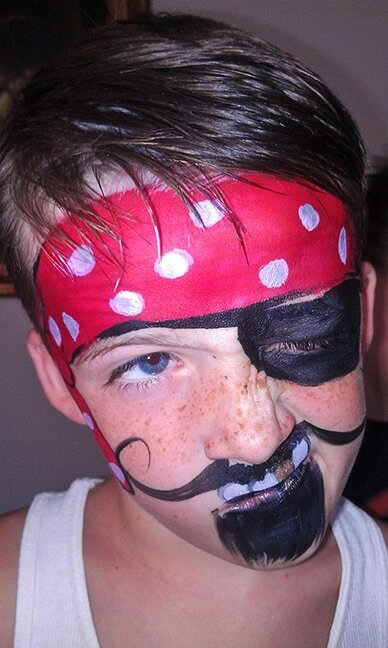 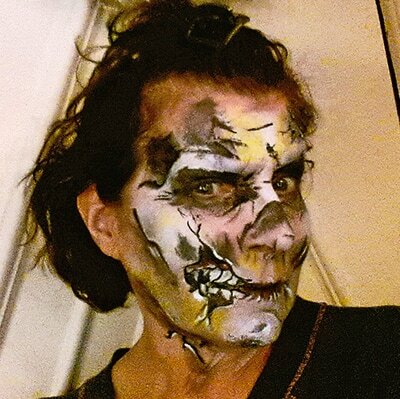 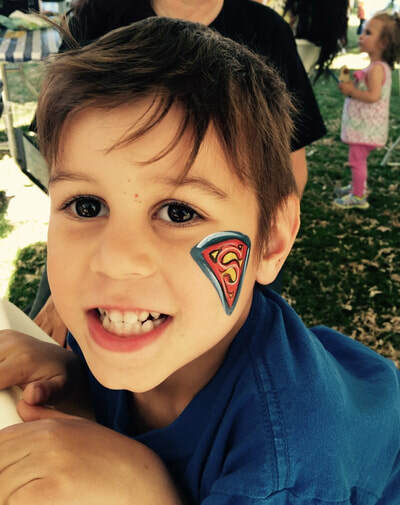 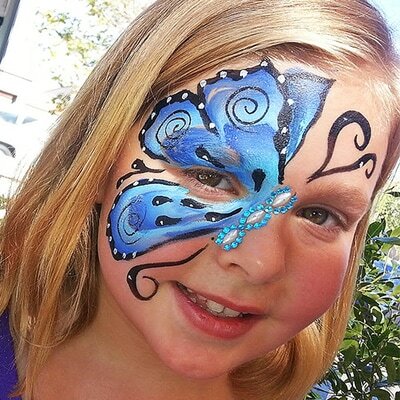 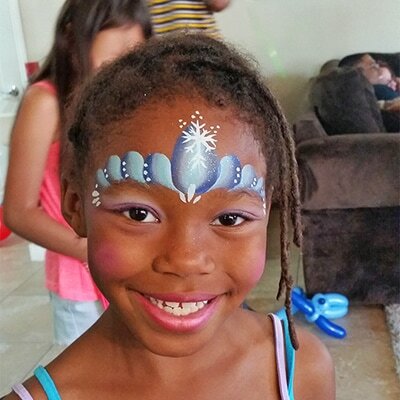 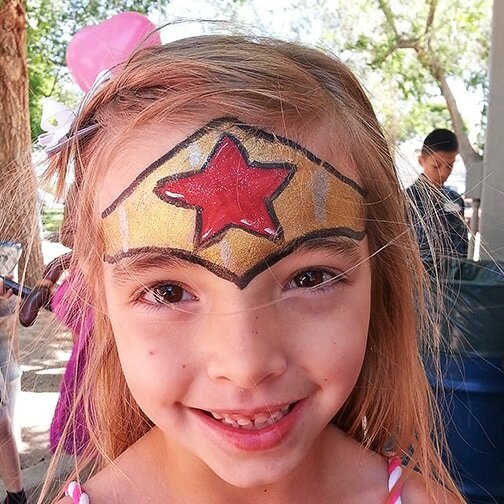 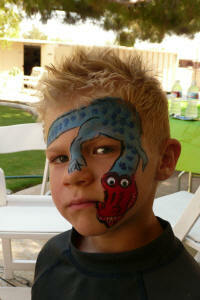 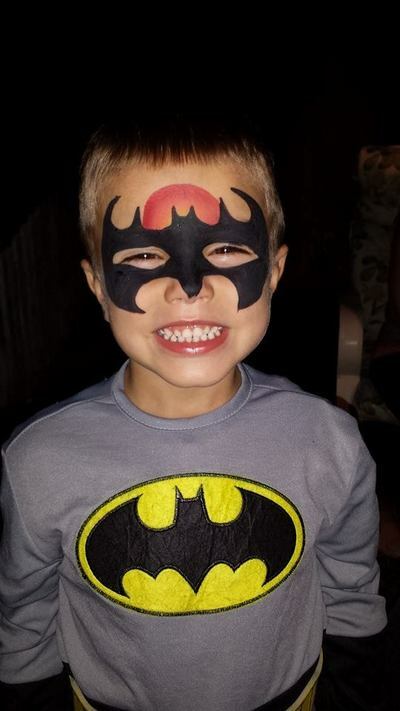 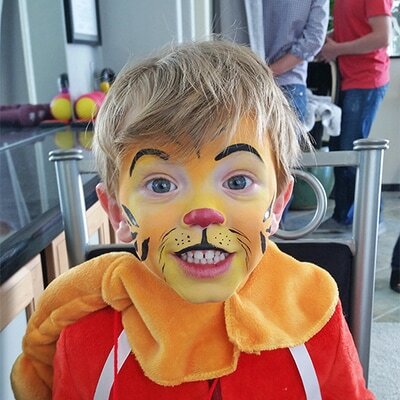 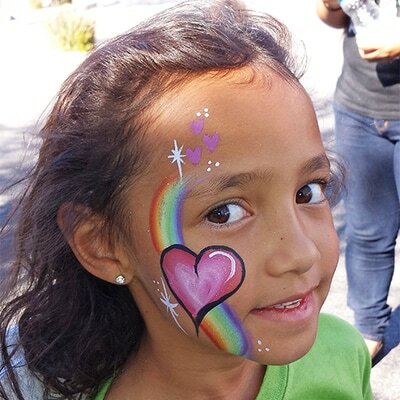 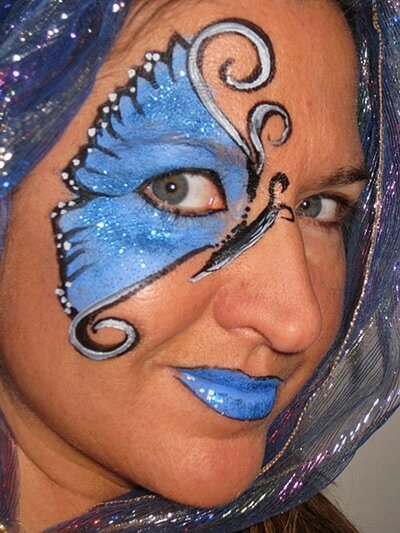 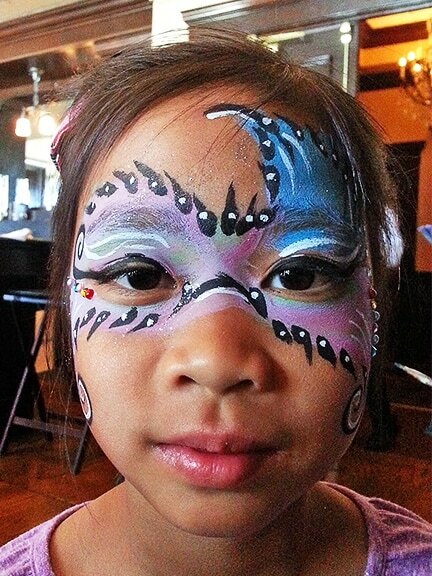 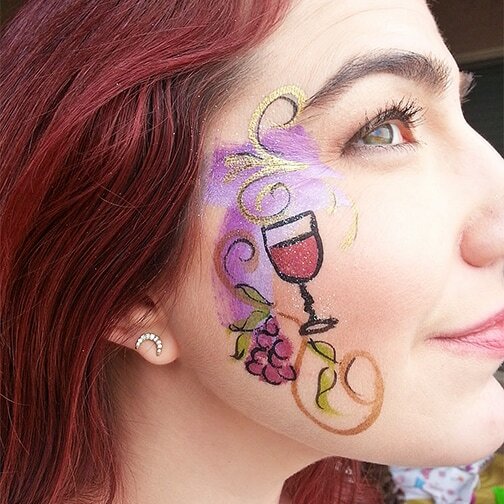 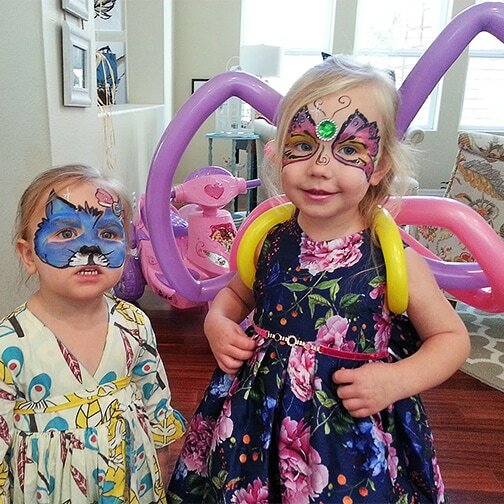 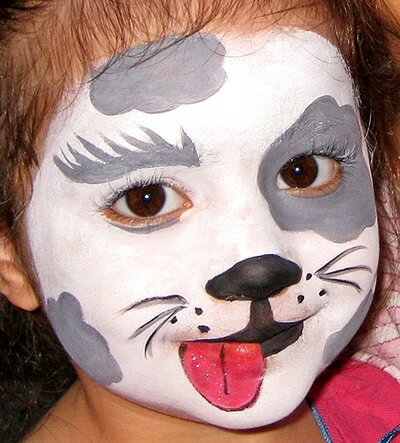 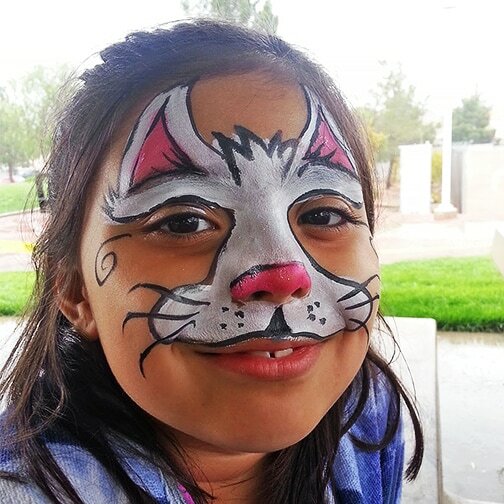 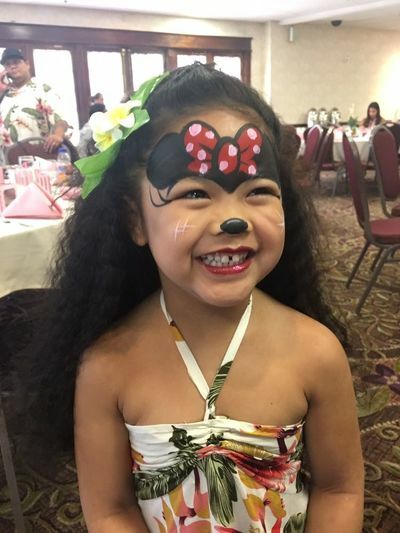 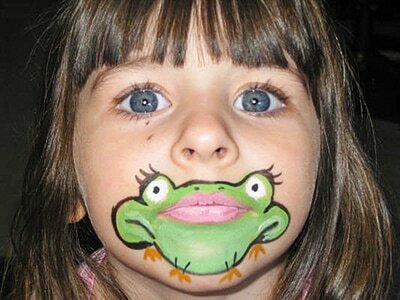 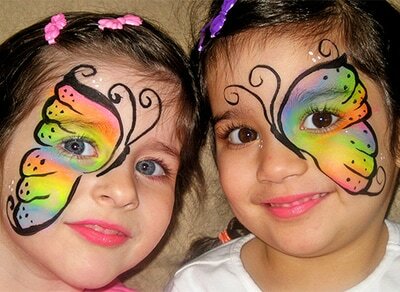 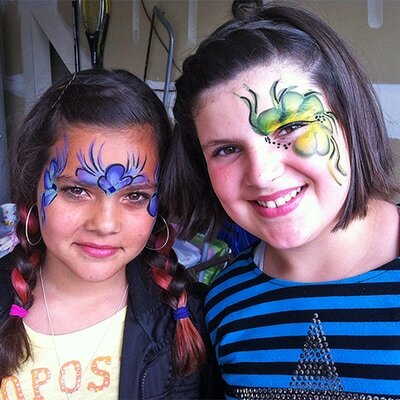 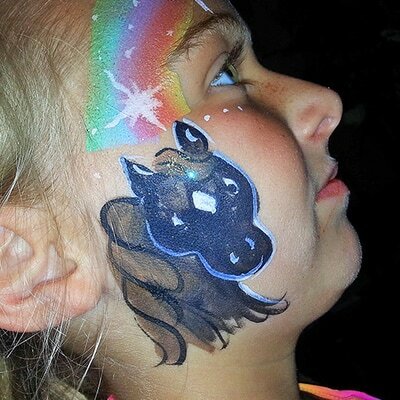 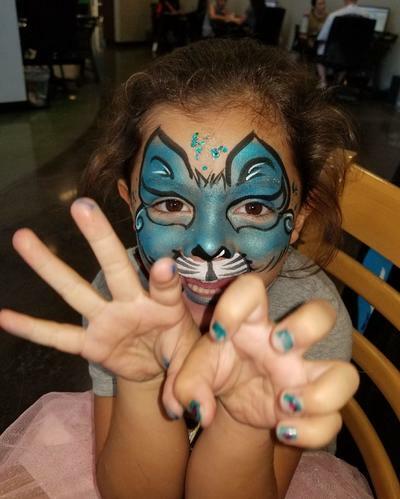 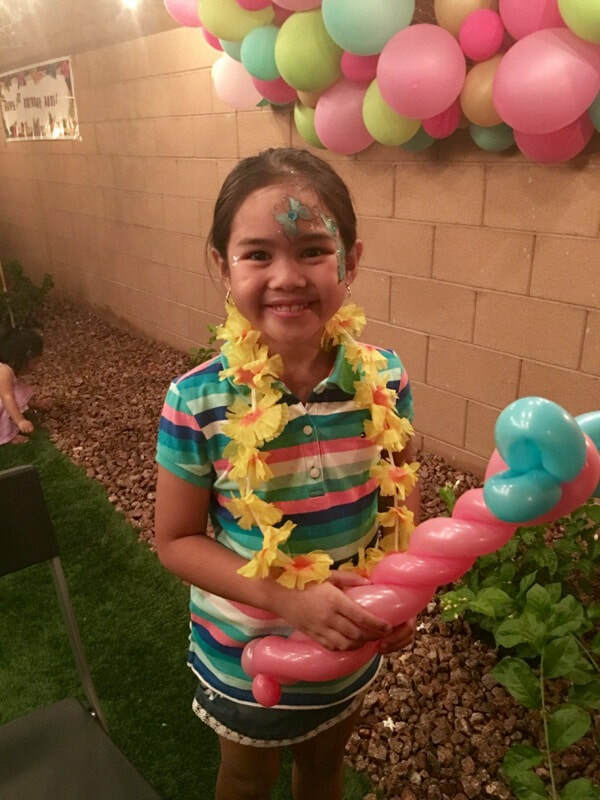 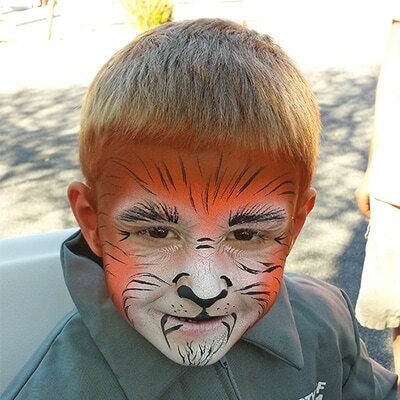 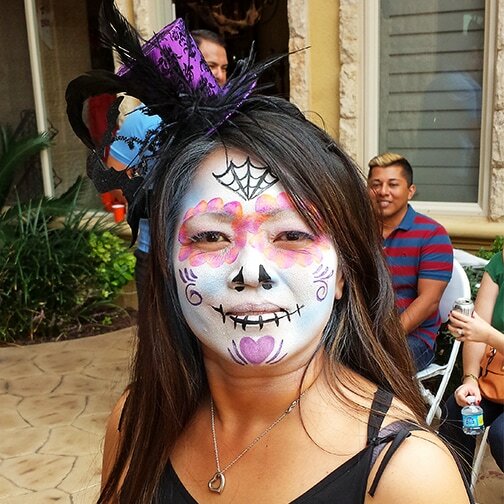 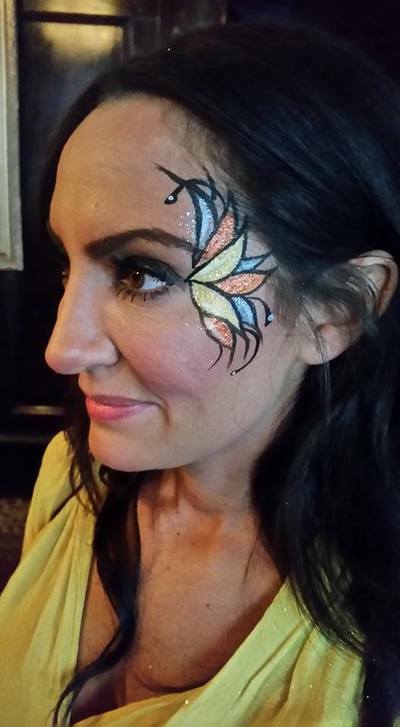 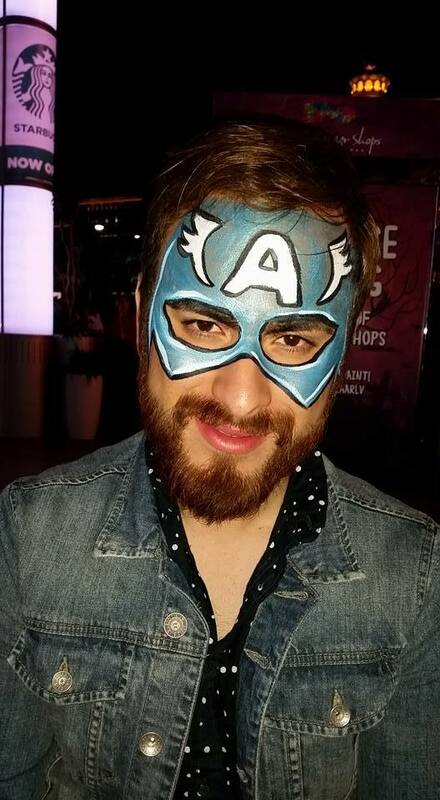 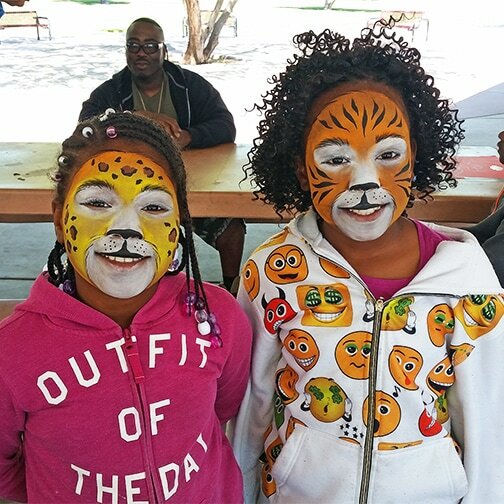 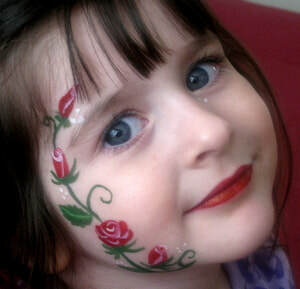 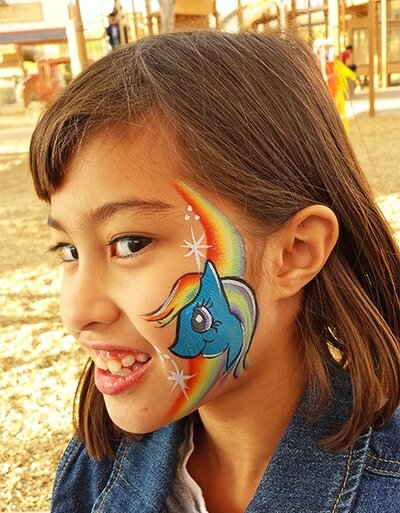 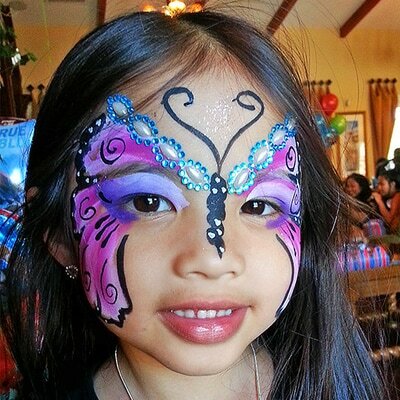 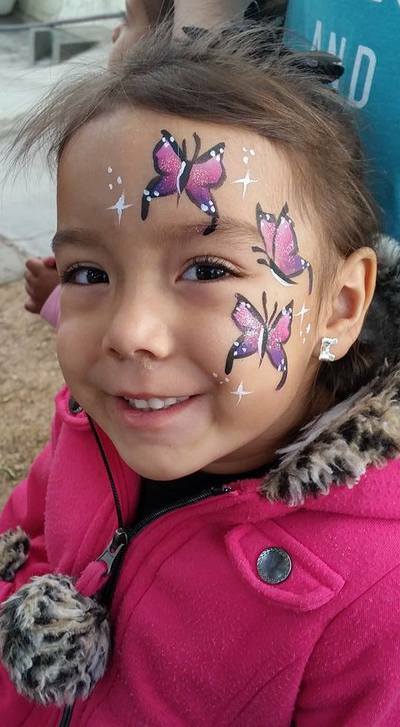 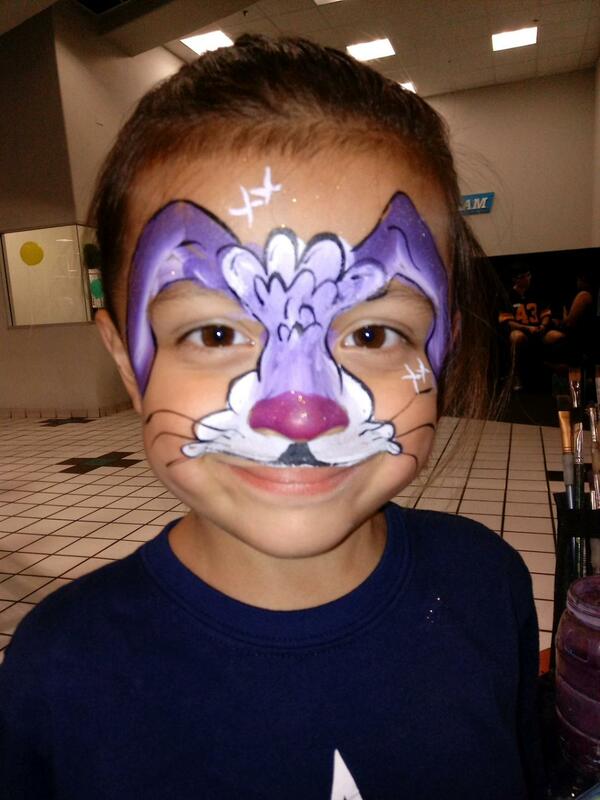 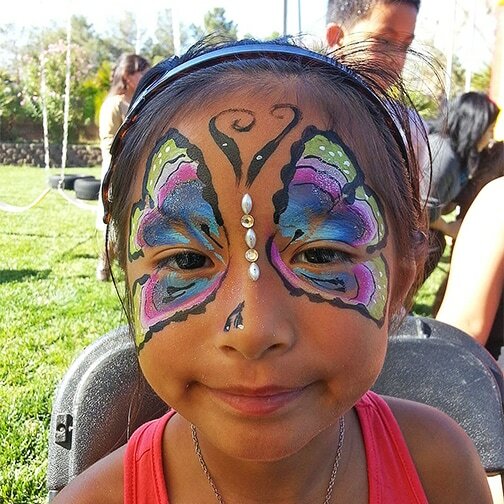 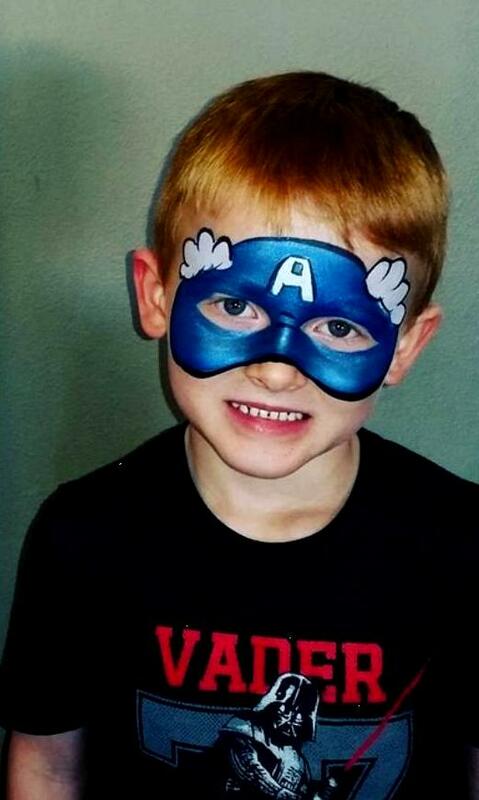 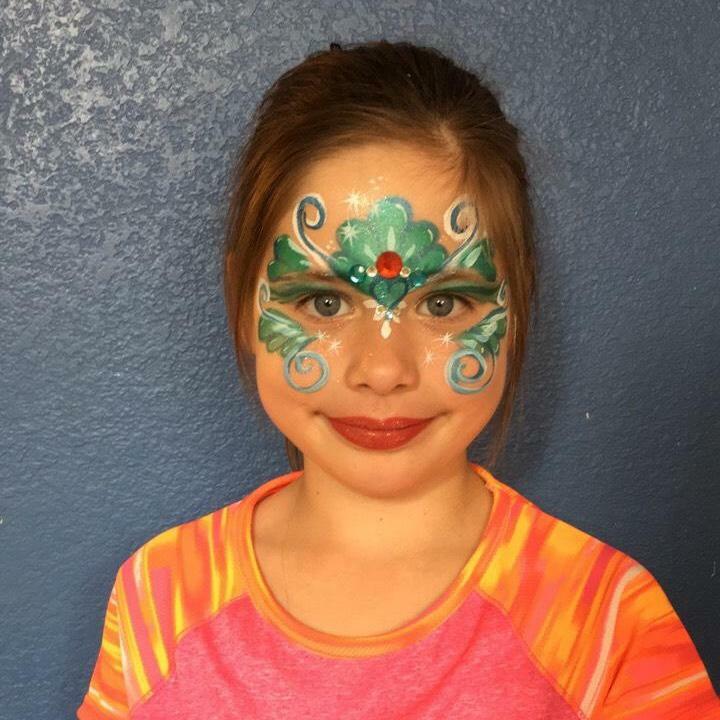 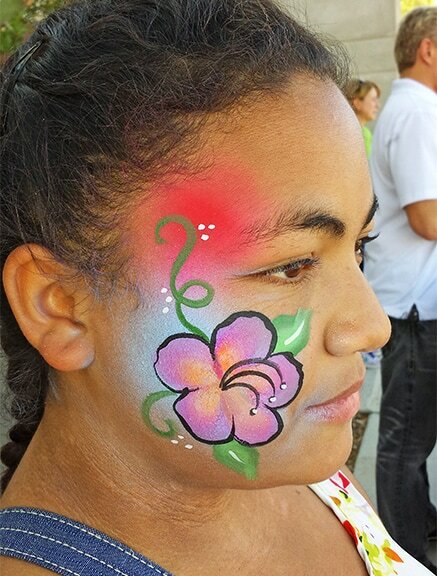 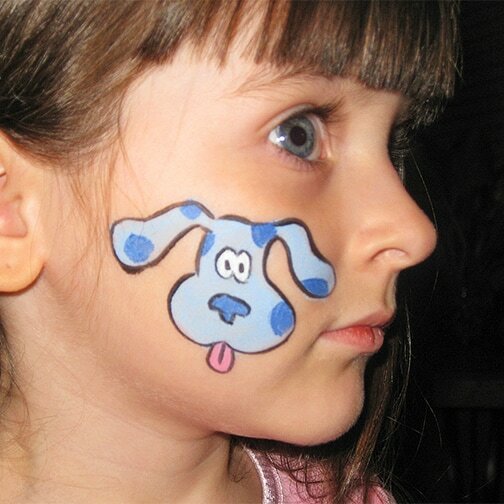 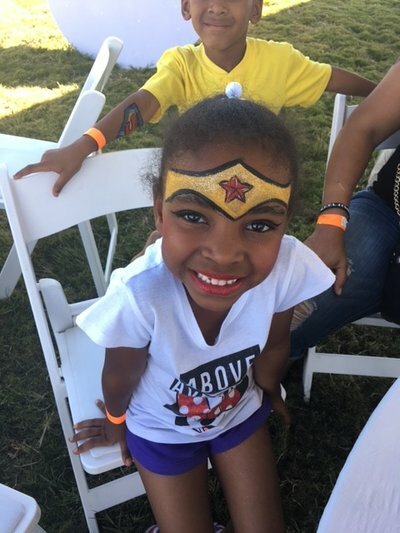 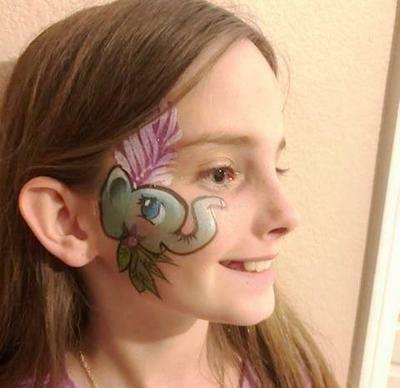 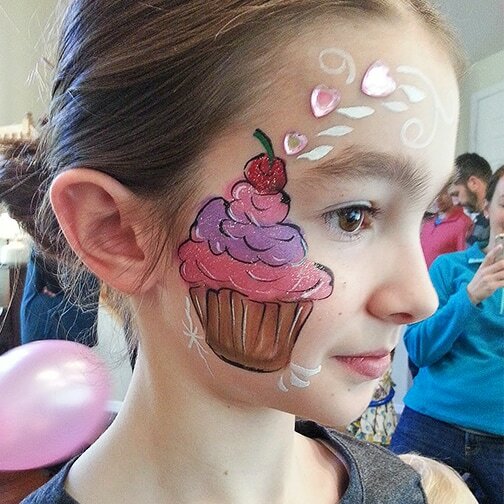 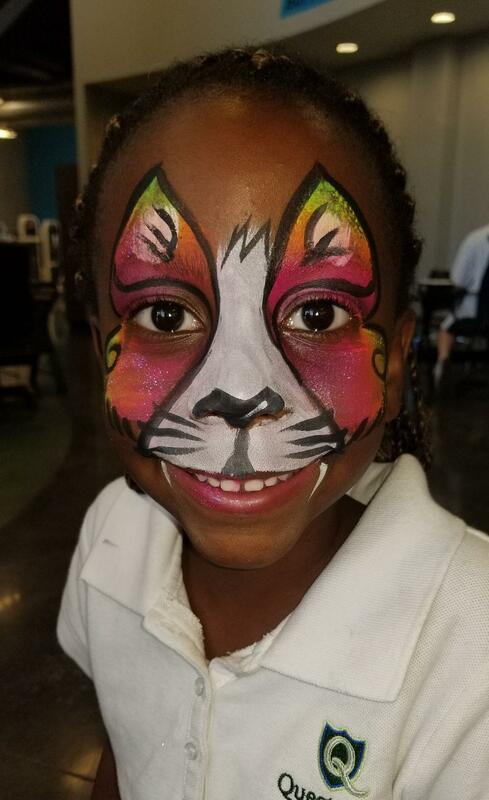 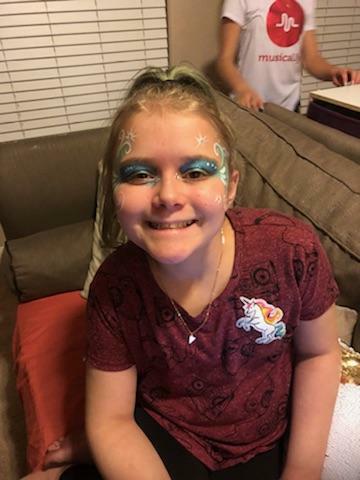 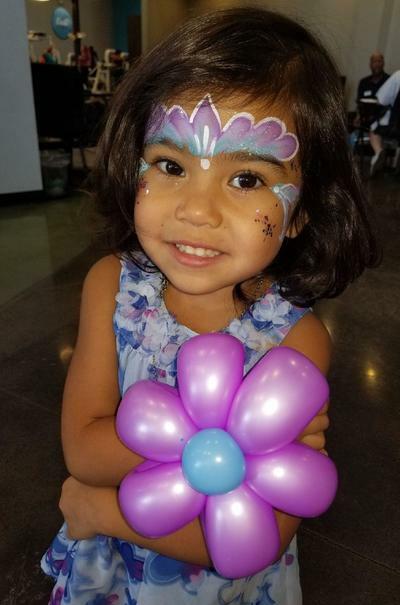 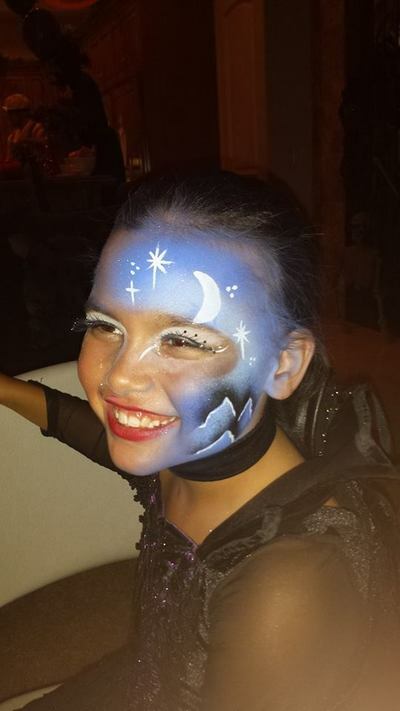 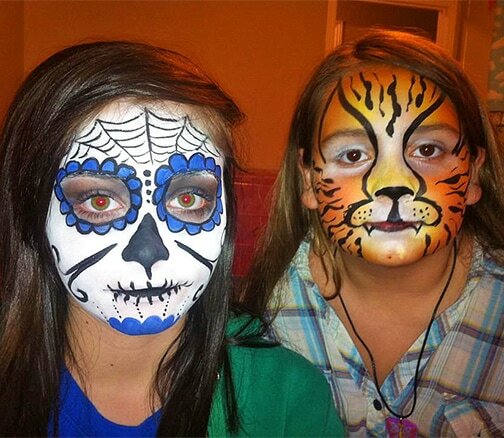 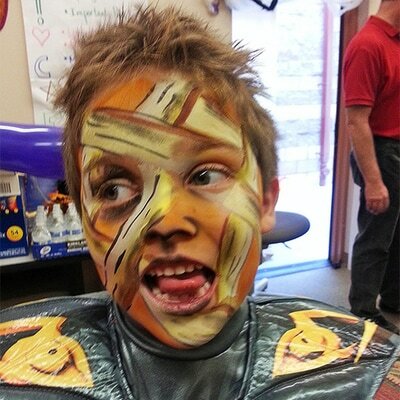 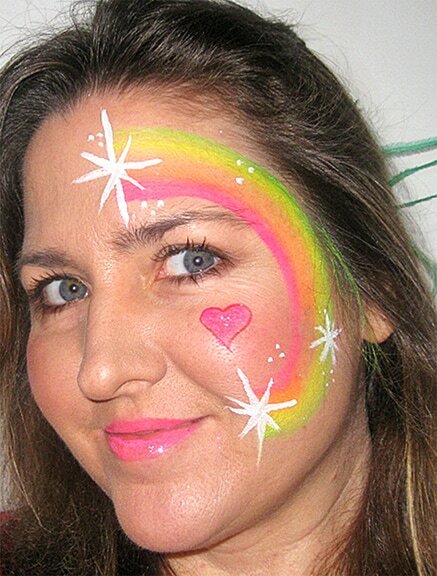 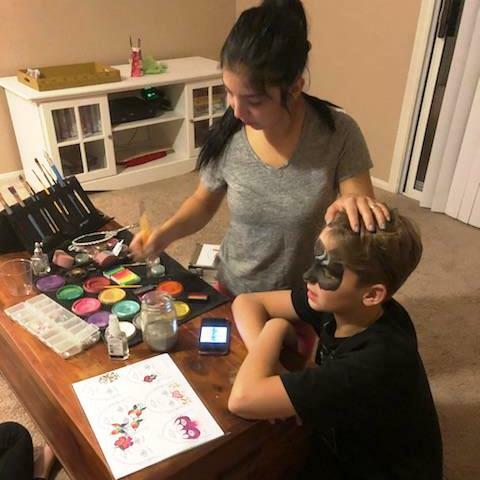 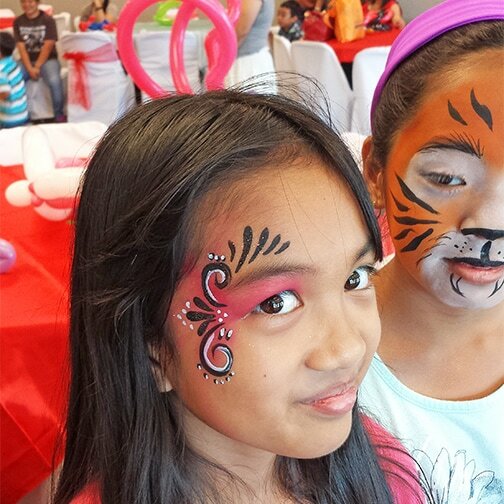 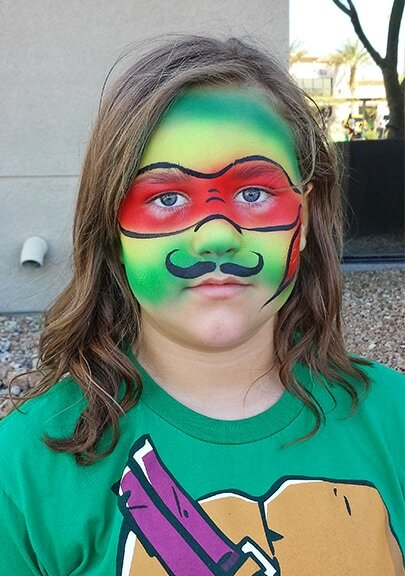 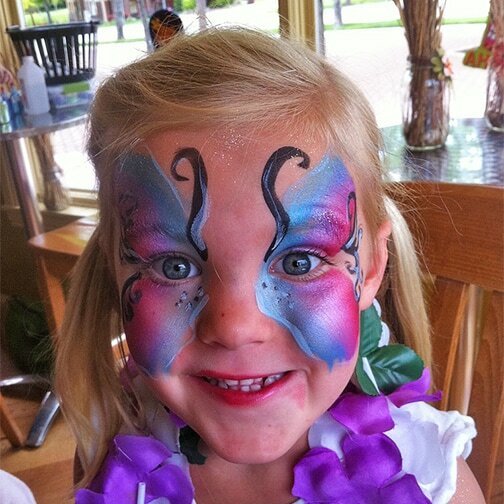 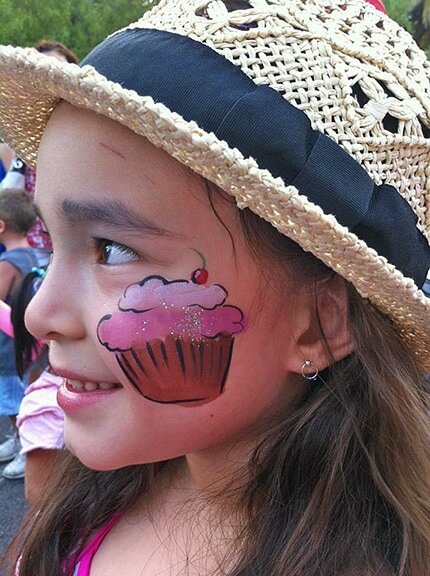 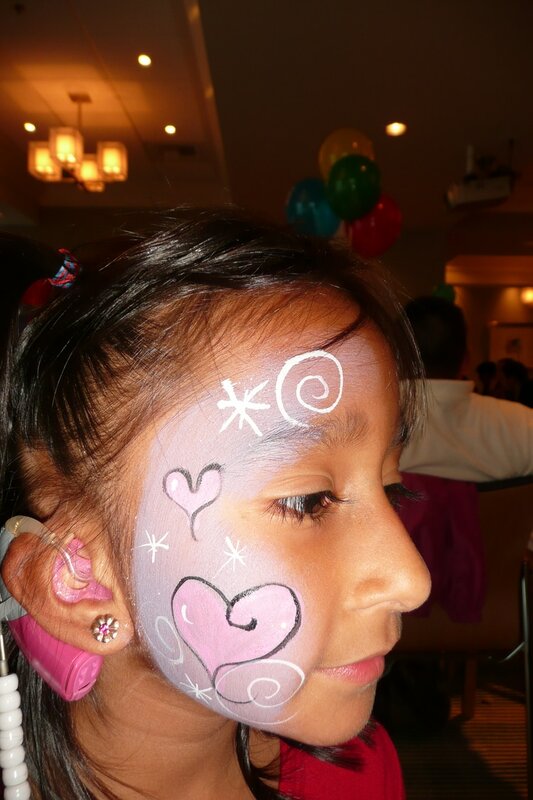 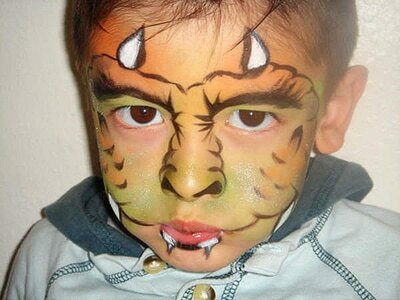 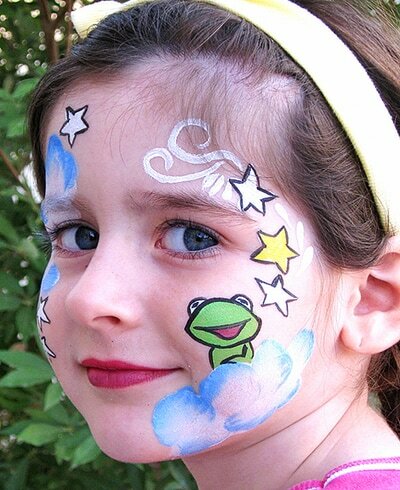 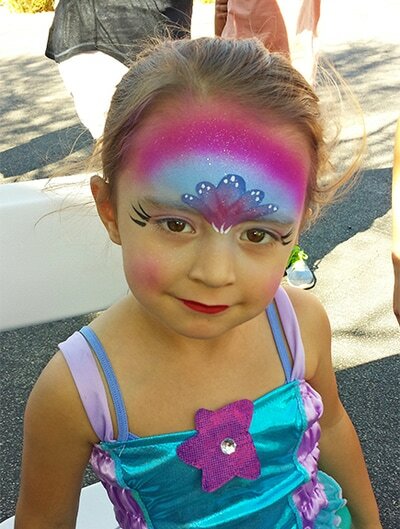 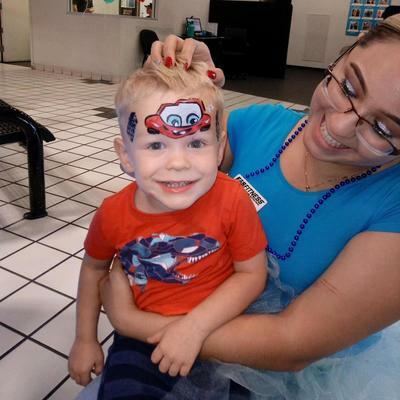 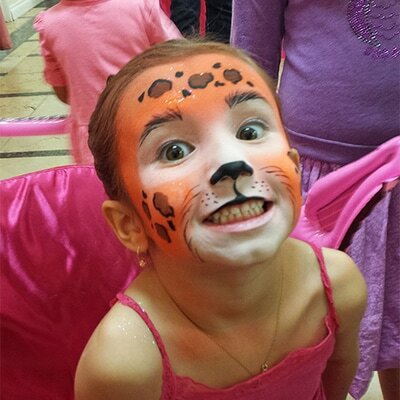 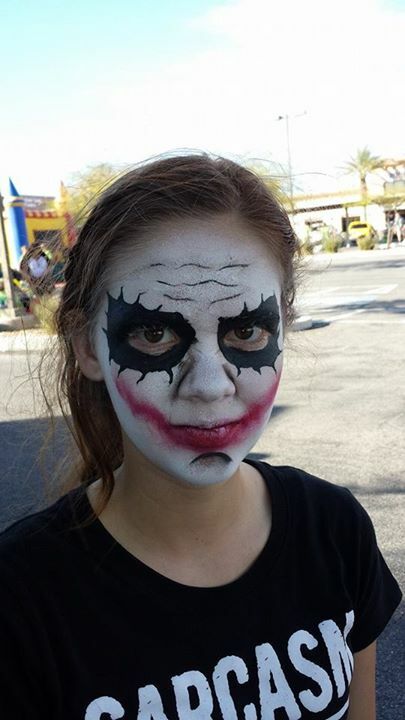 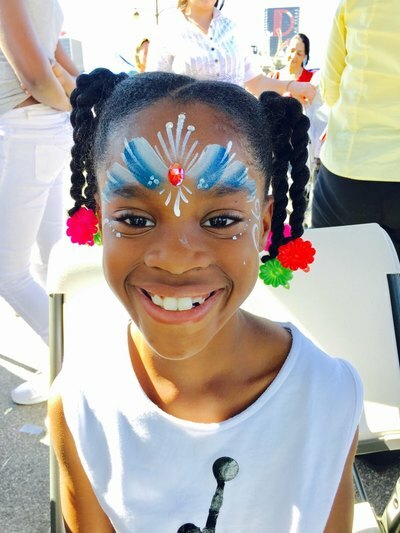 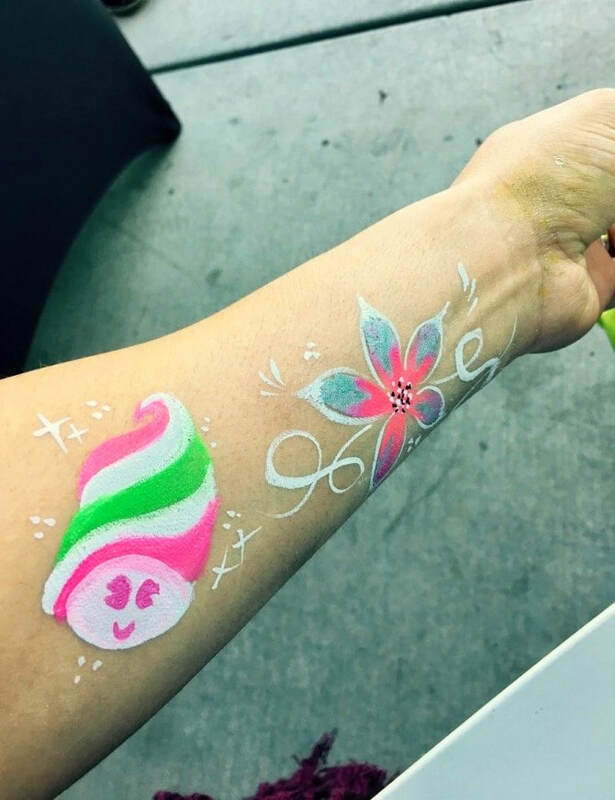 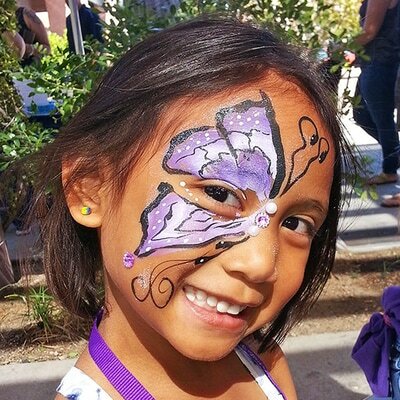 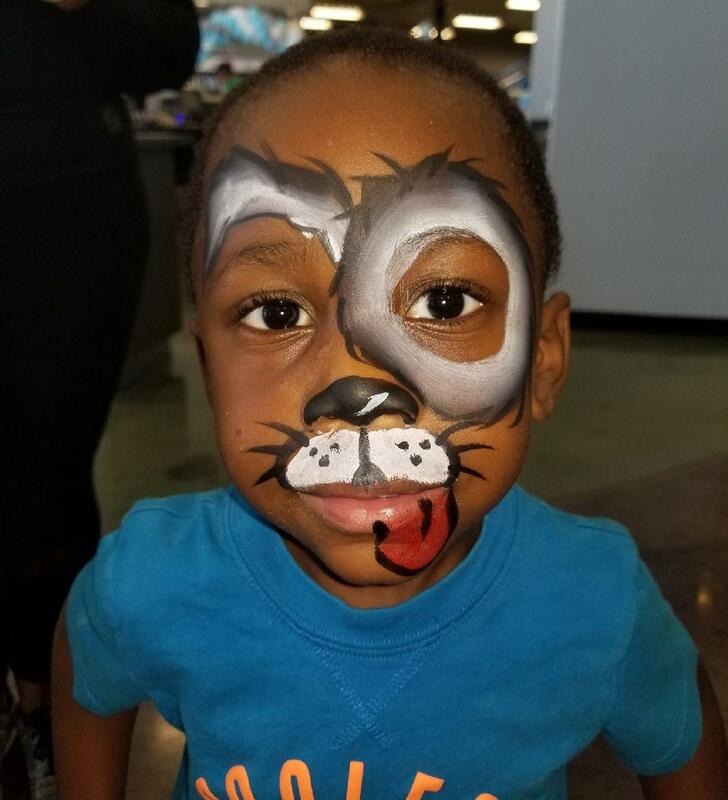 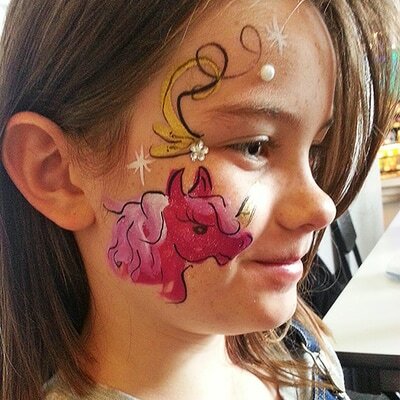 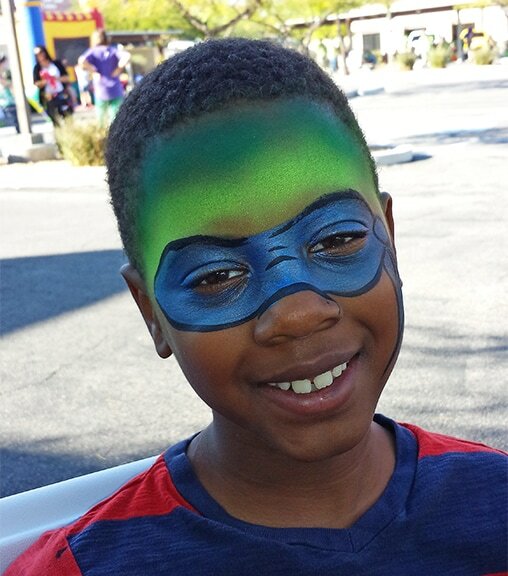 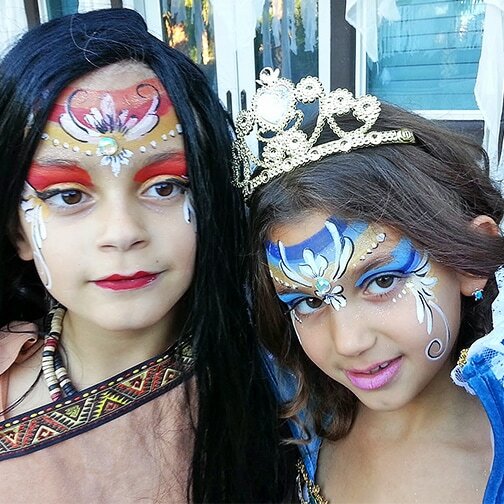 Face paint and body paint is a temporary art that can be washed off with soap and water, baby wipes or makeup remover. 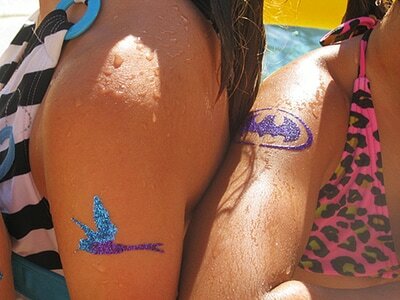 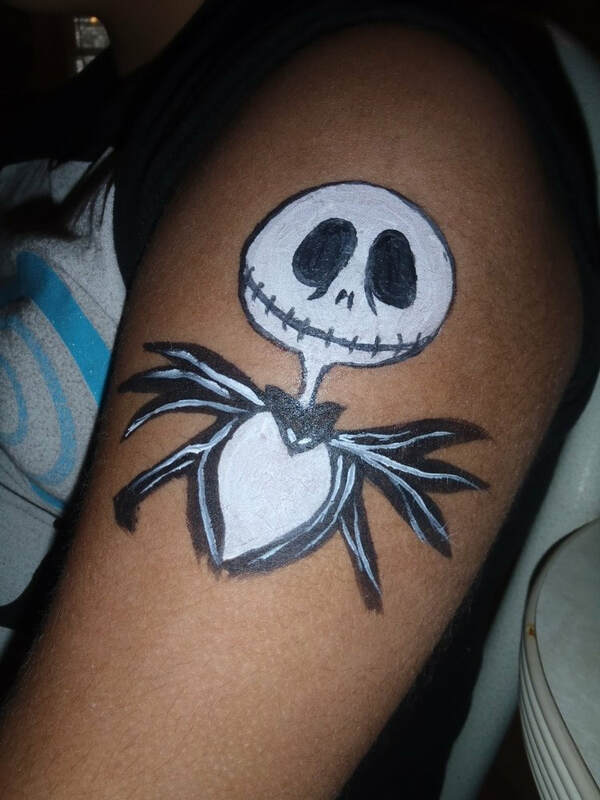 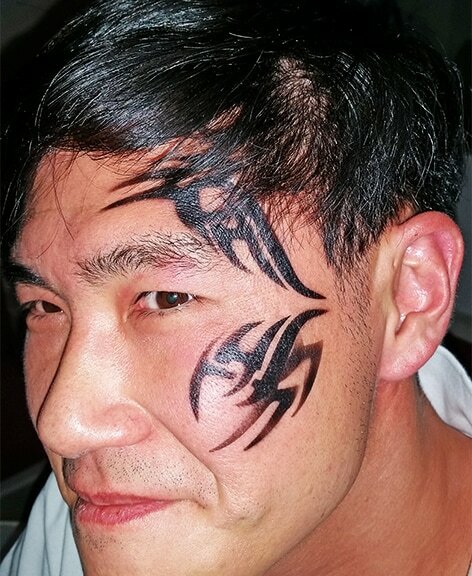 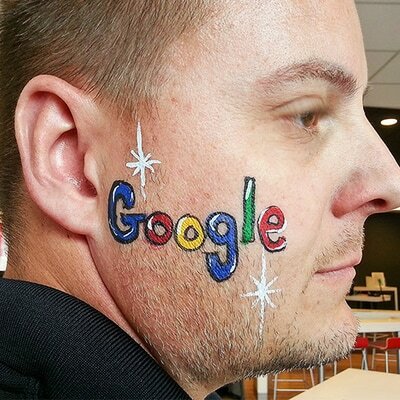 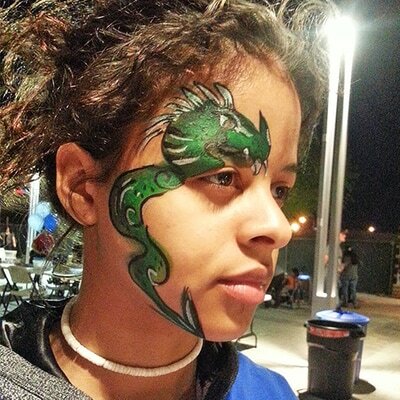 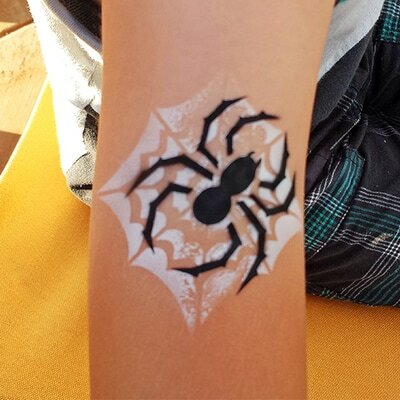 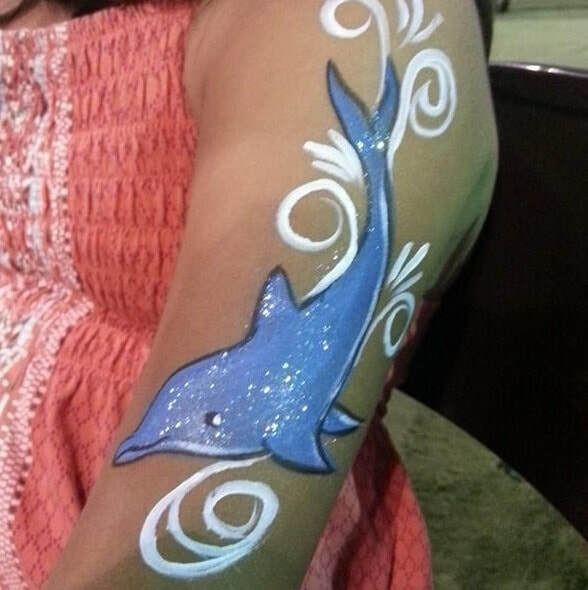 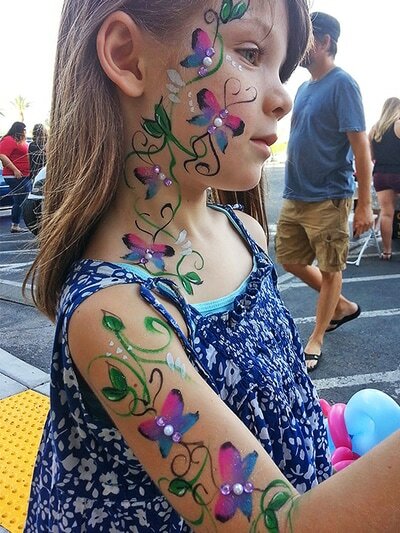 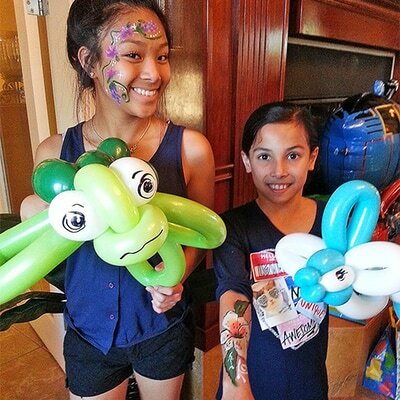 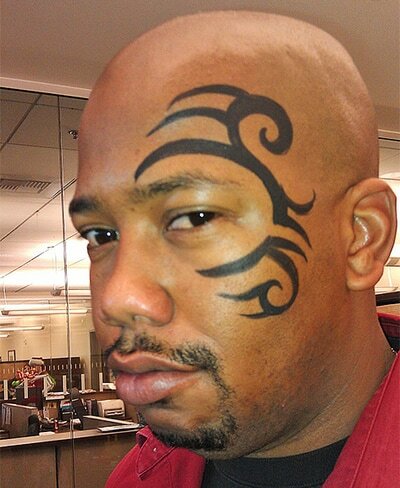 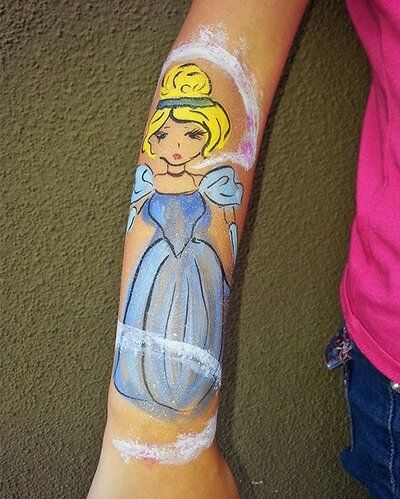 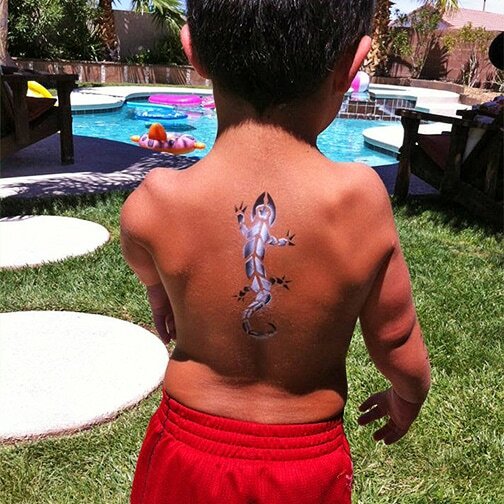 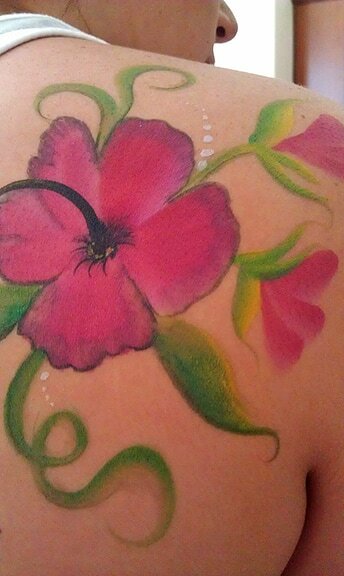 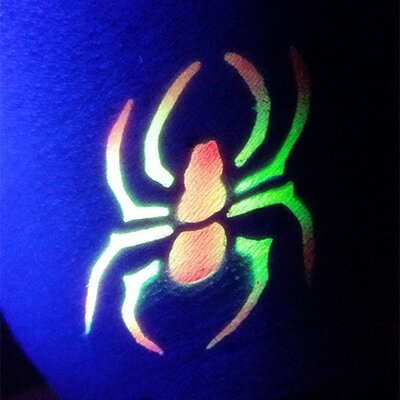 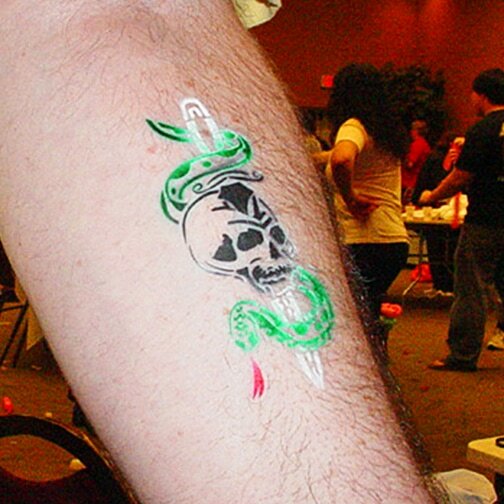 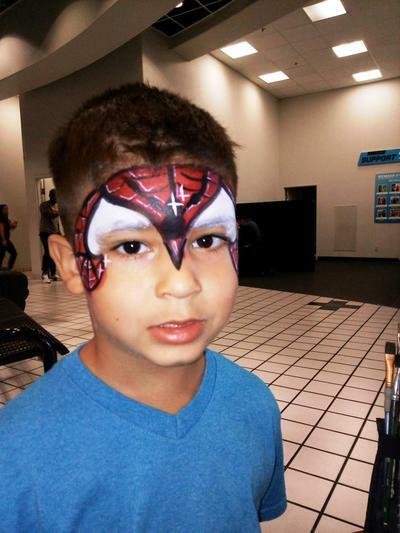 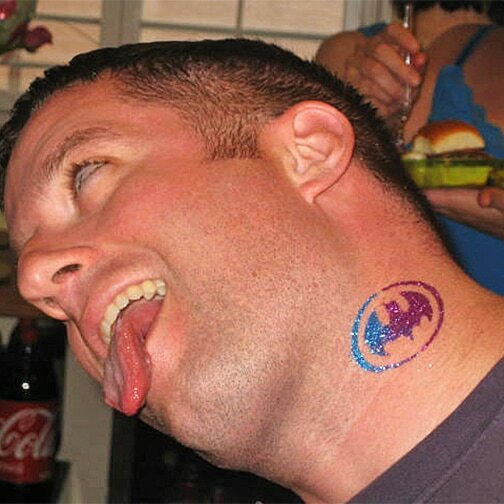 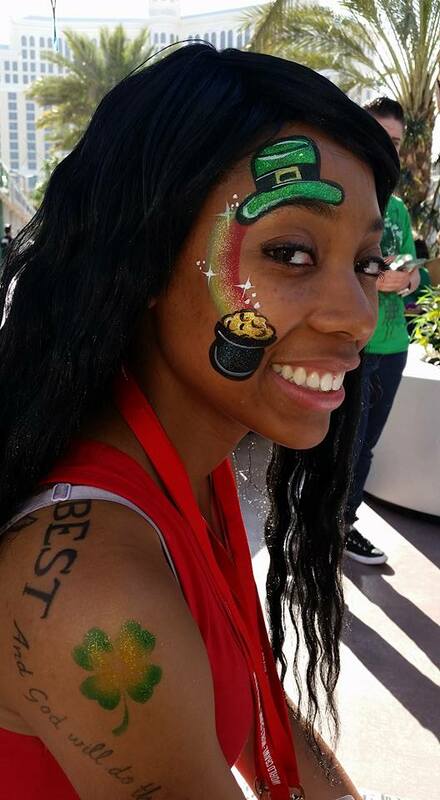 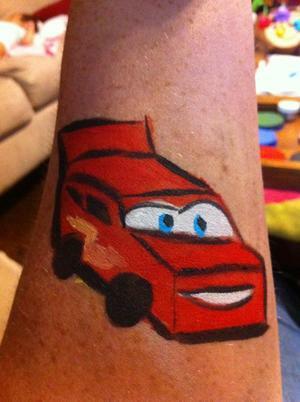 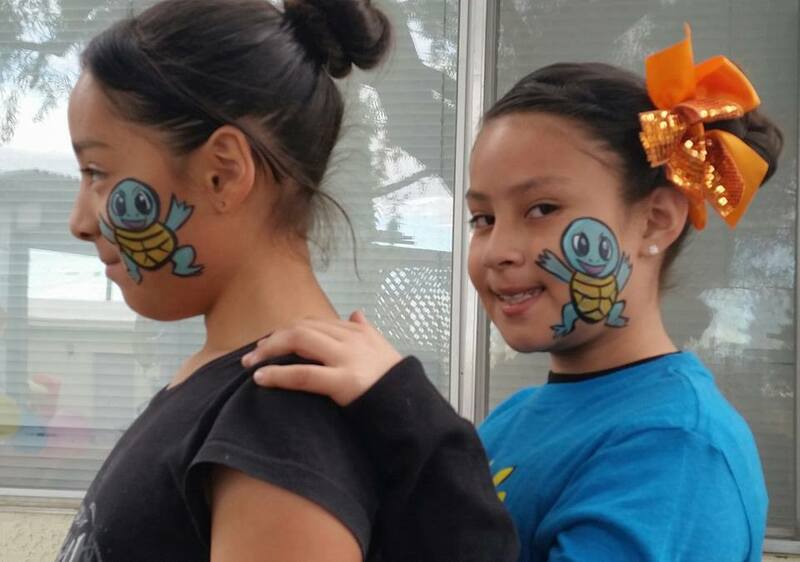 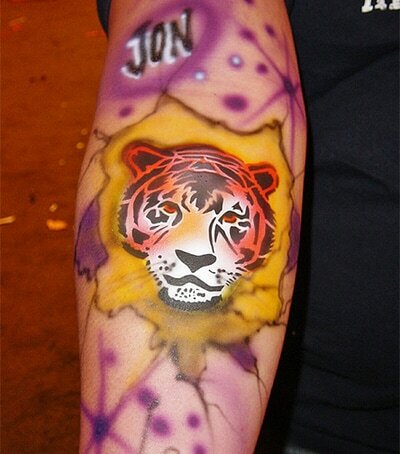 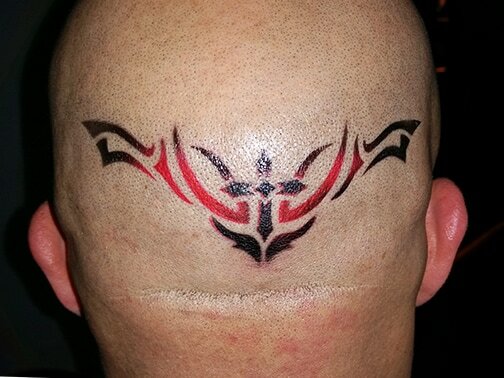 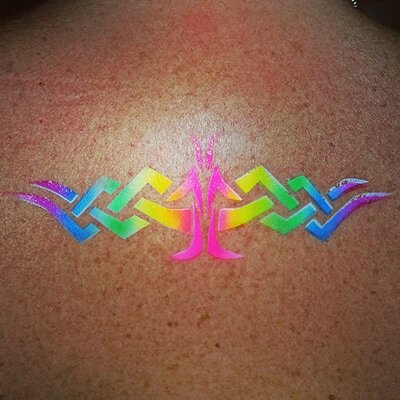 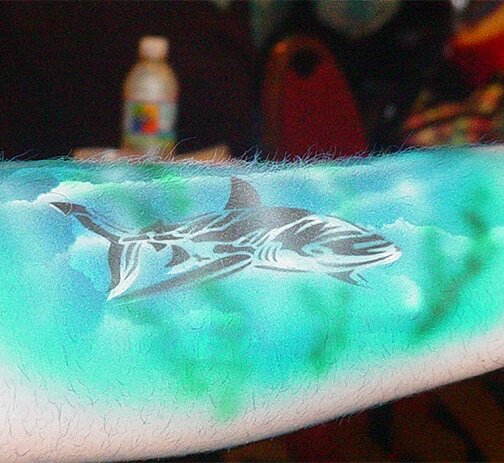 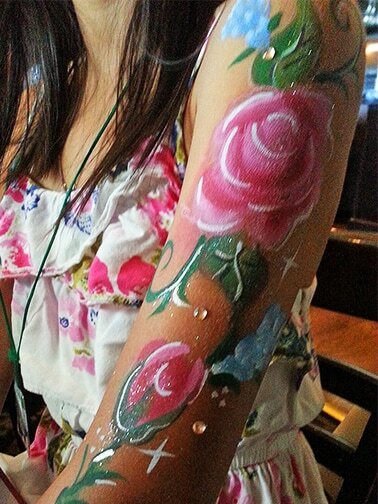 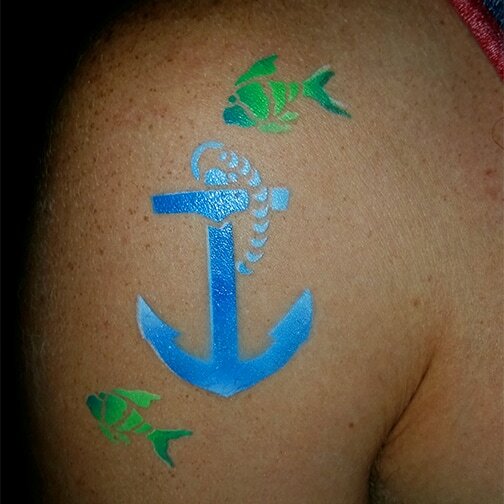 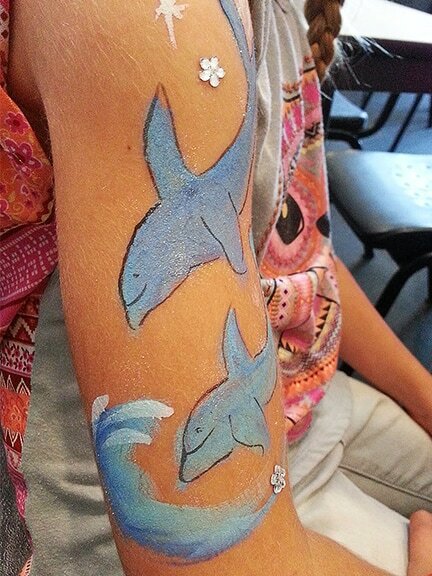 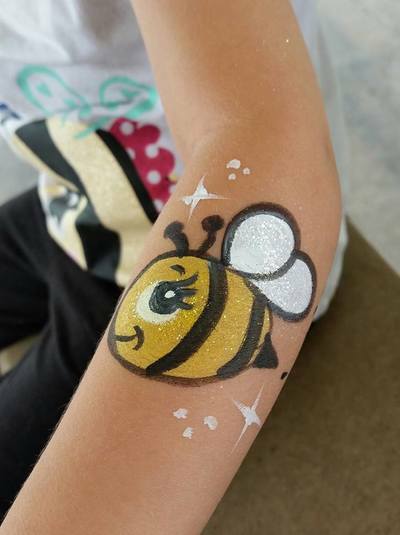 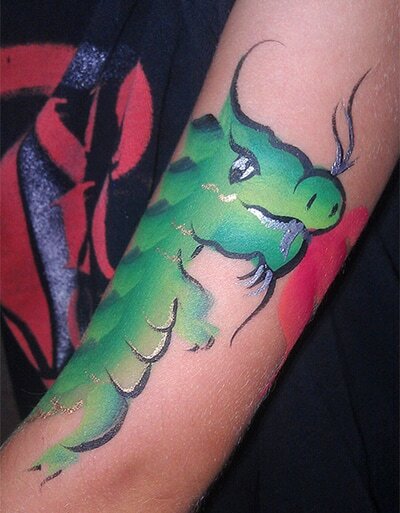 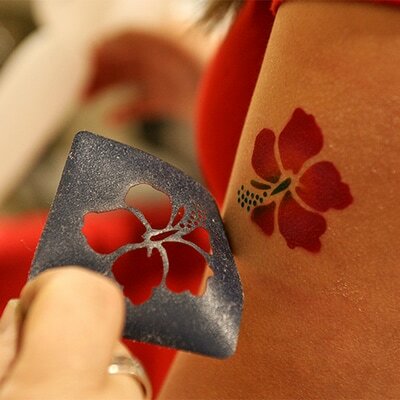 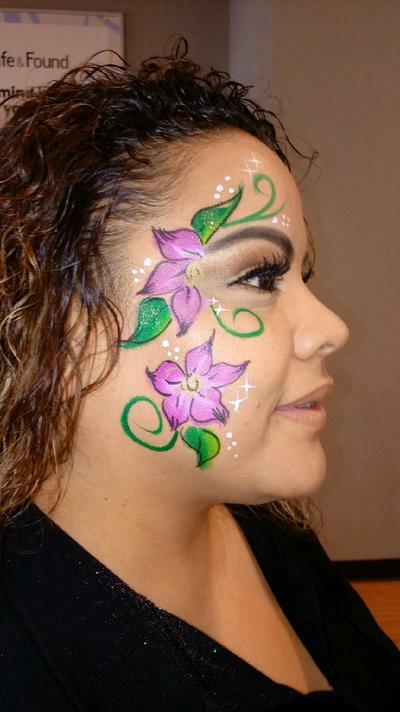 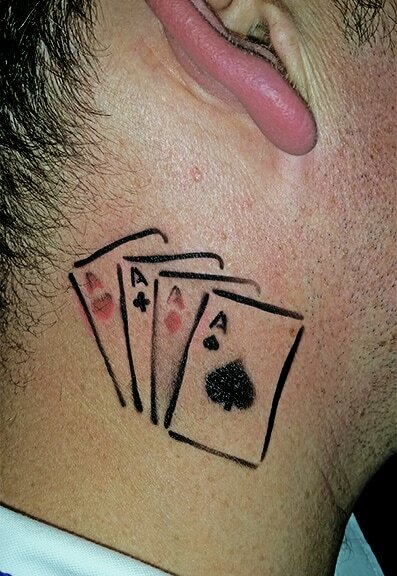 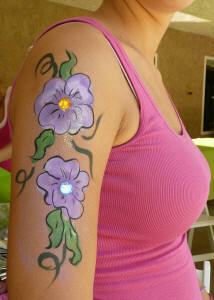 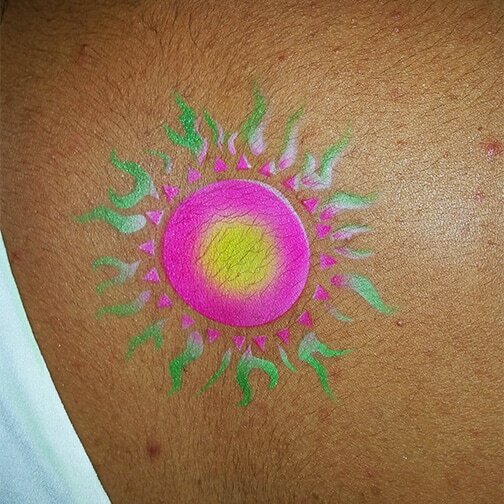 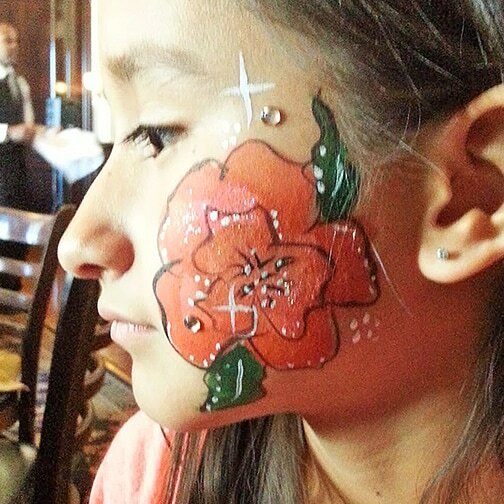 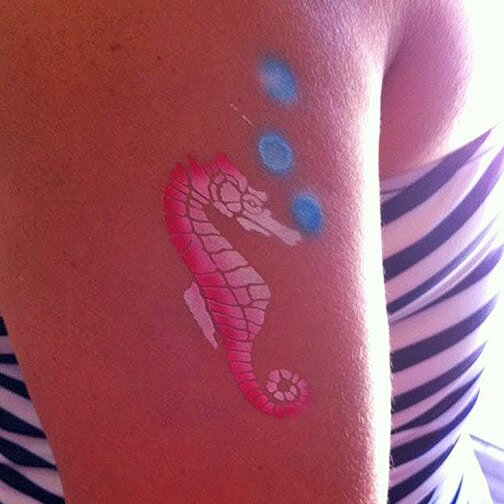 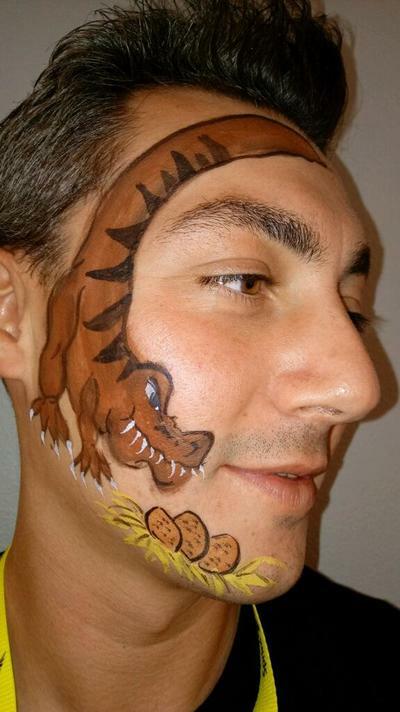 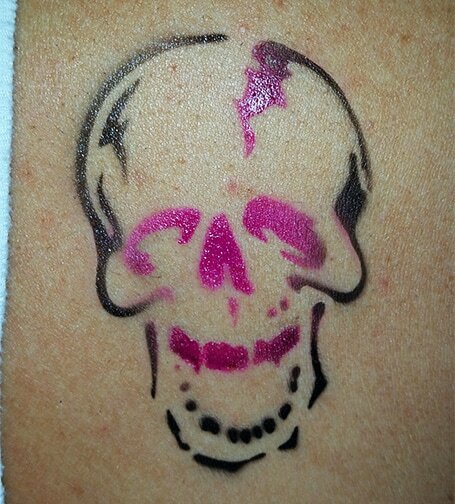 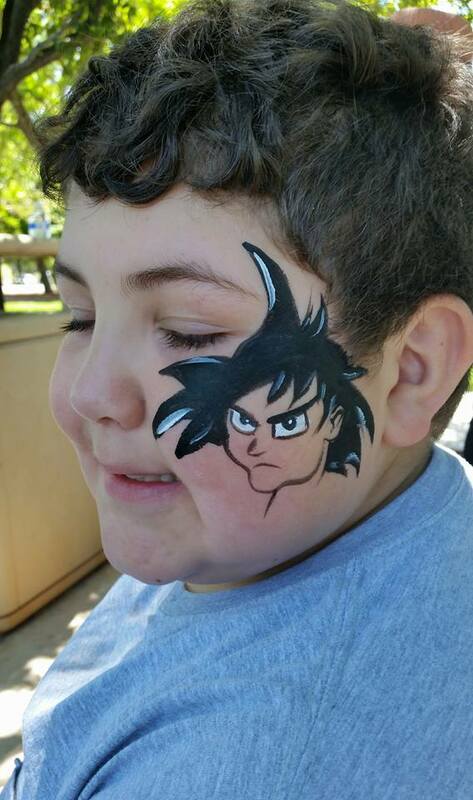 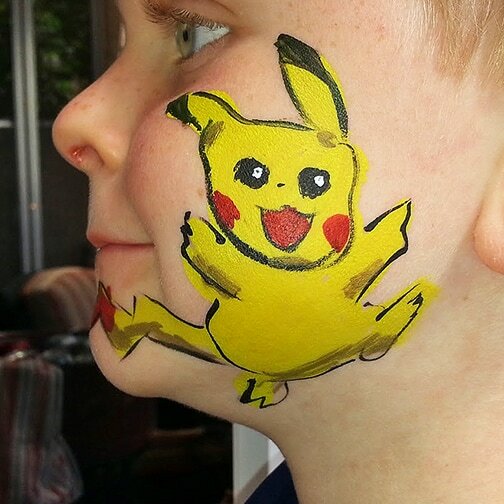 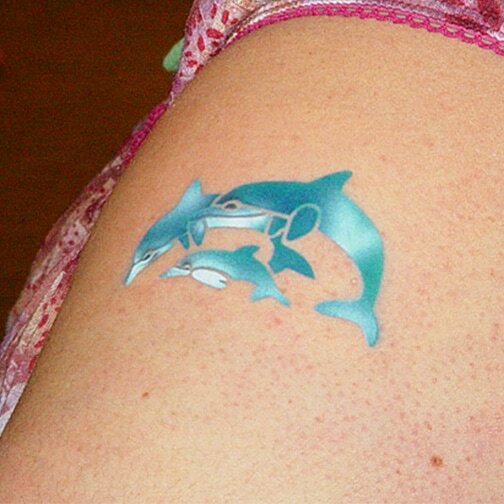 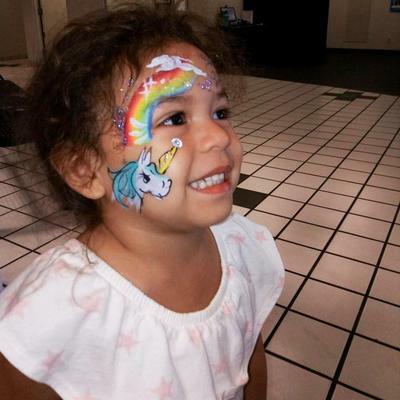 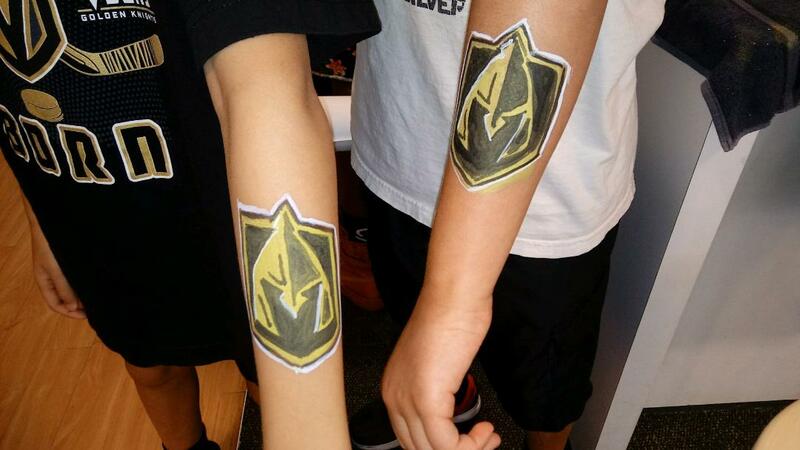 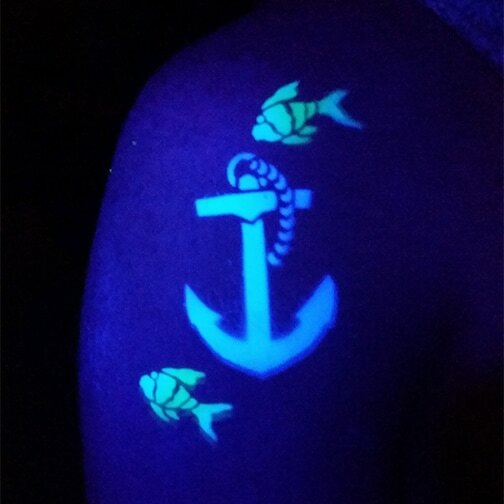 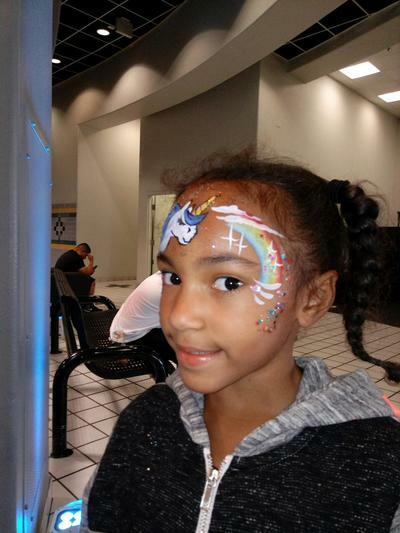 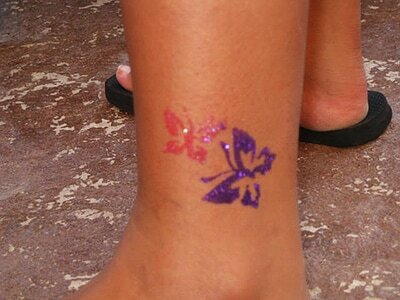 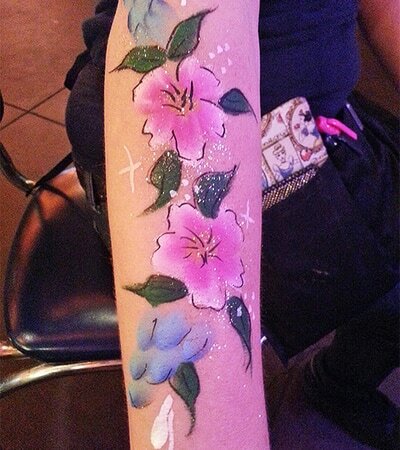 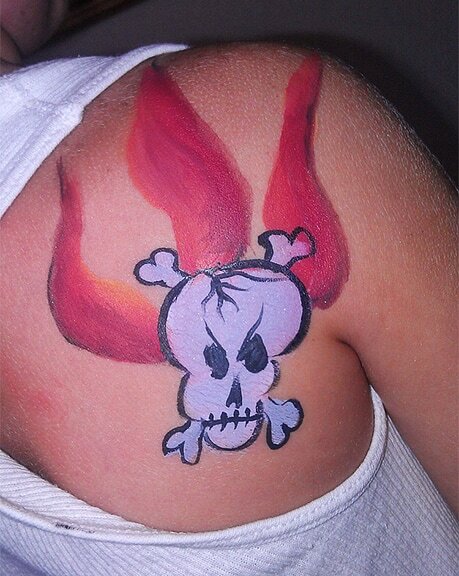 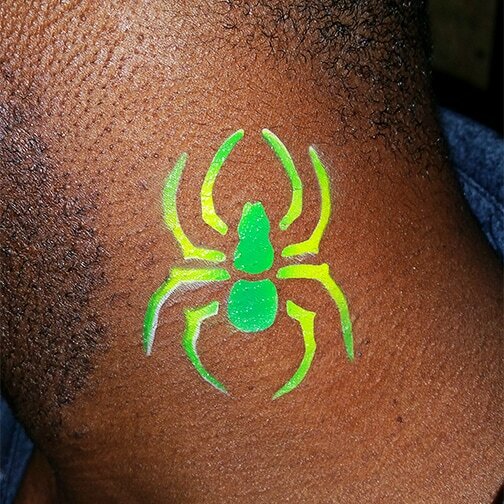 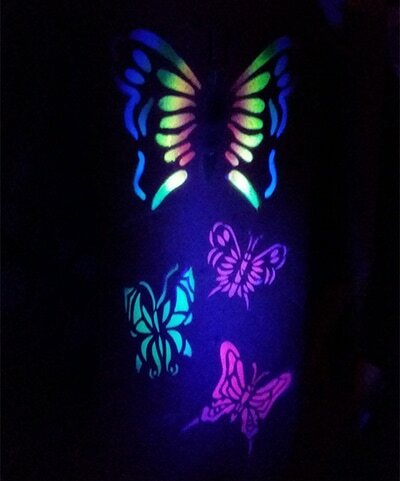 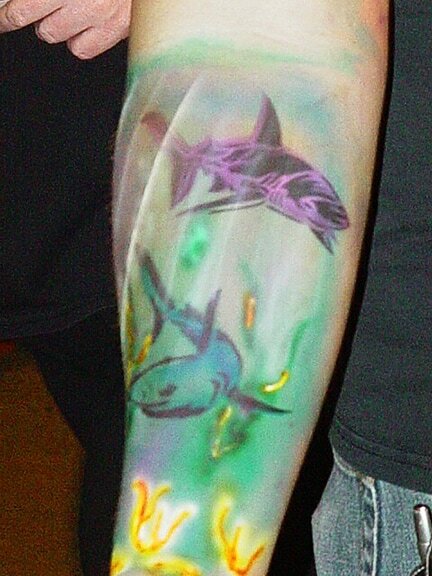 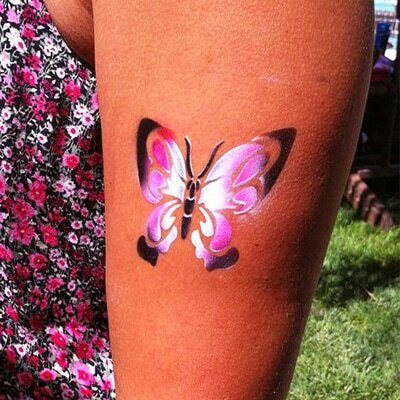 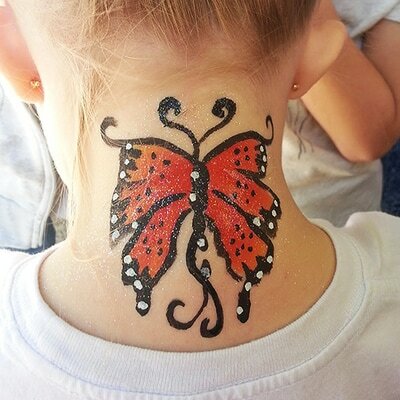 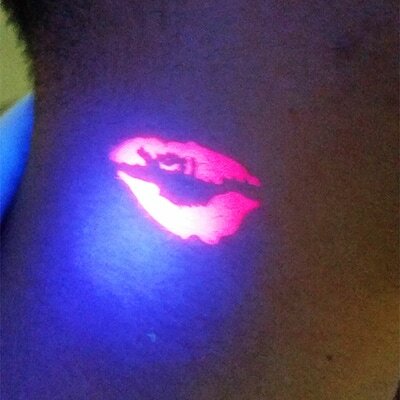 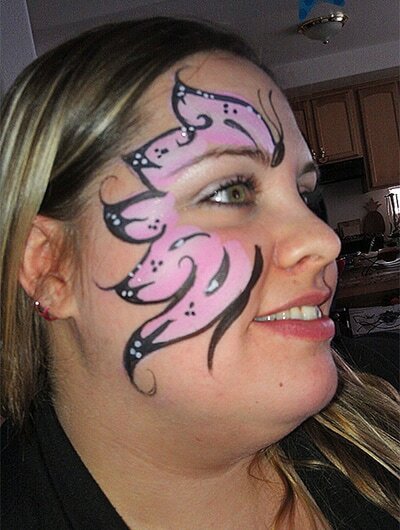 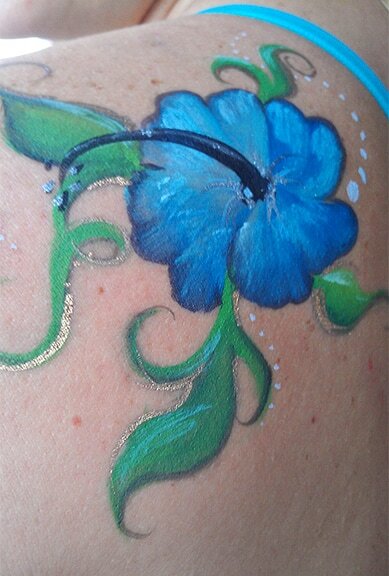 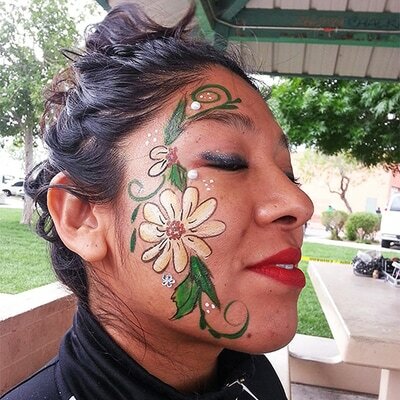 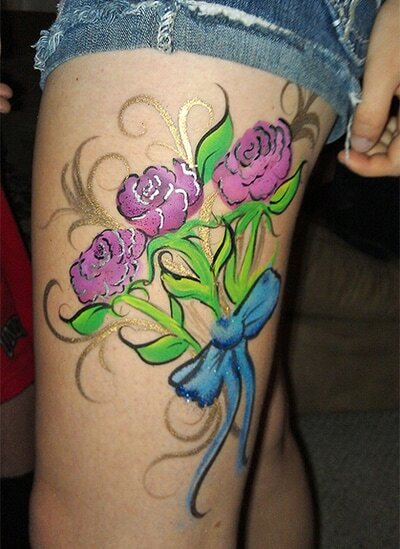 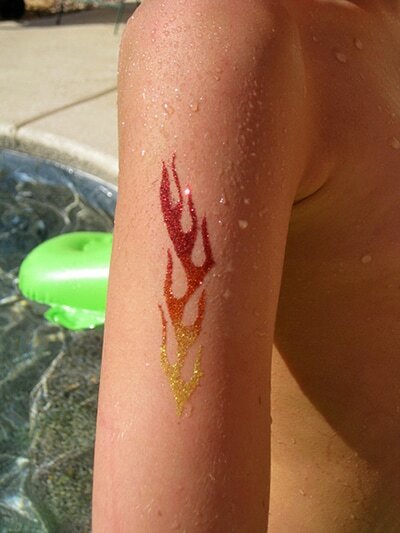 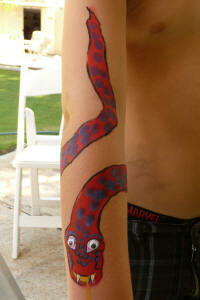 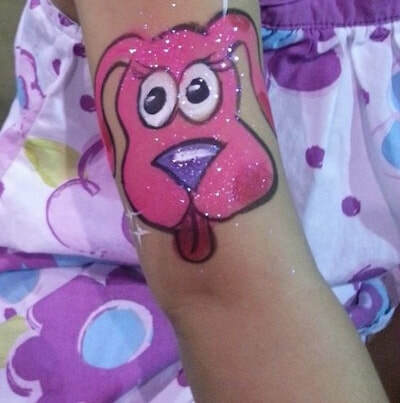 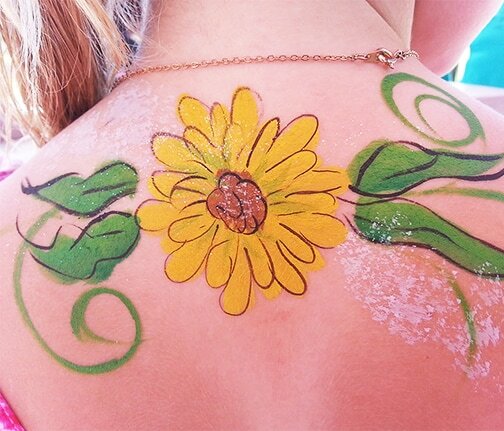 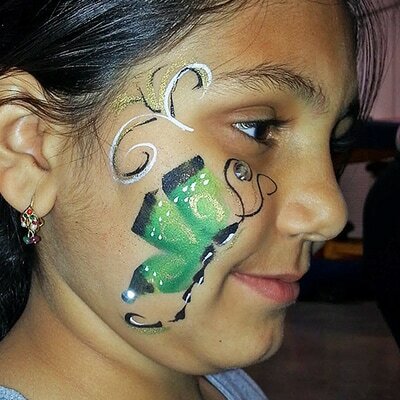 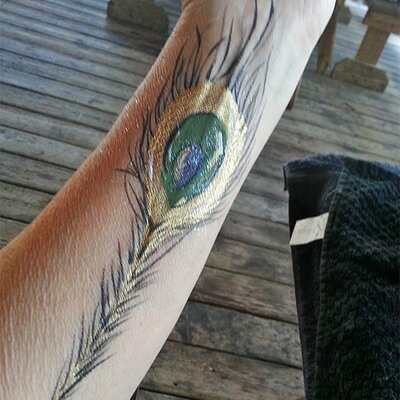 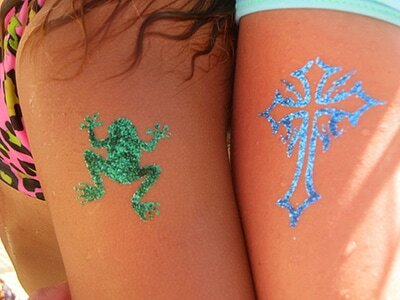 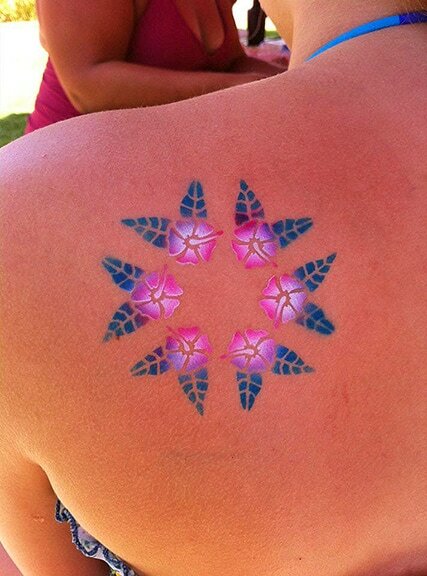 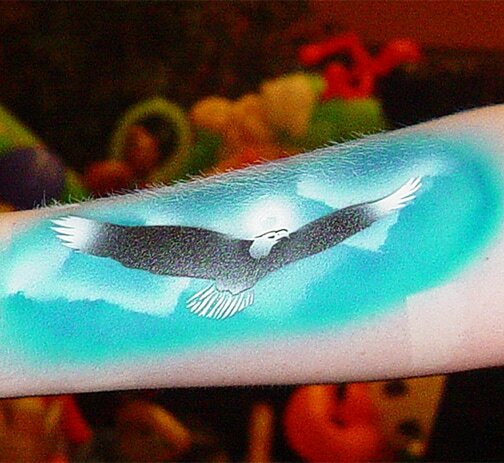 Airbrush Tattoos are body art that lasts anywhere from several days to over a week. 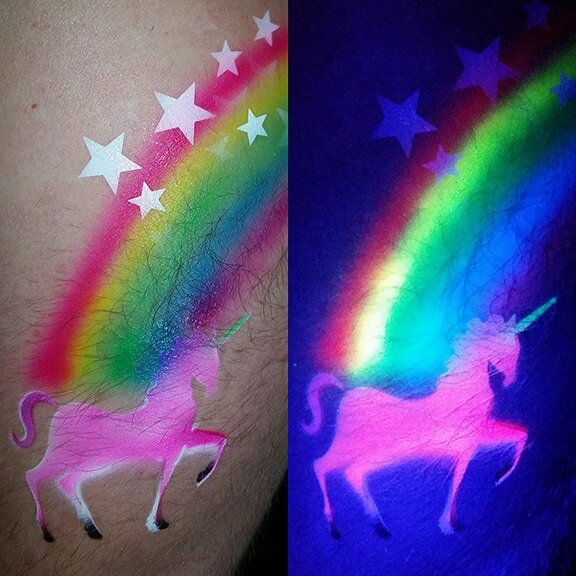 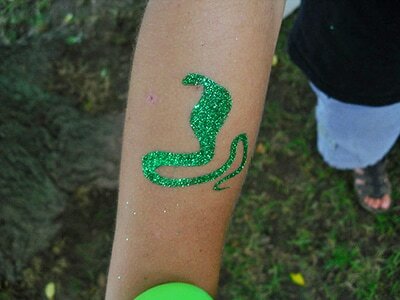 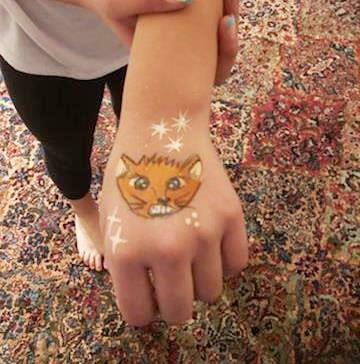 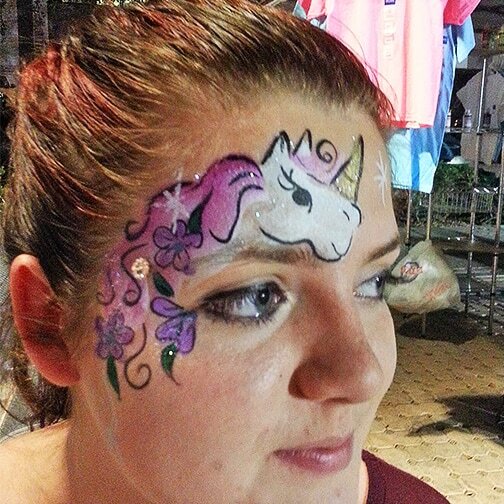 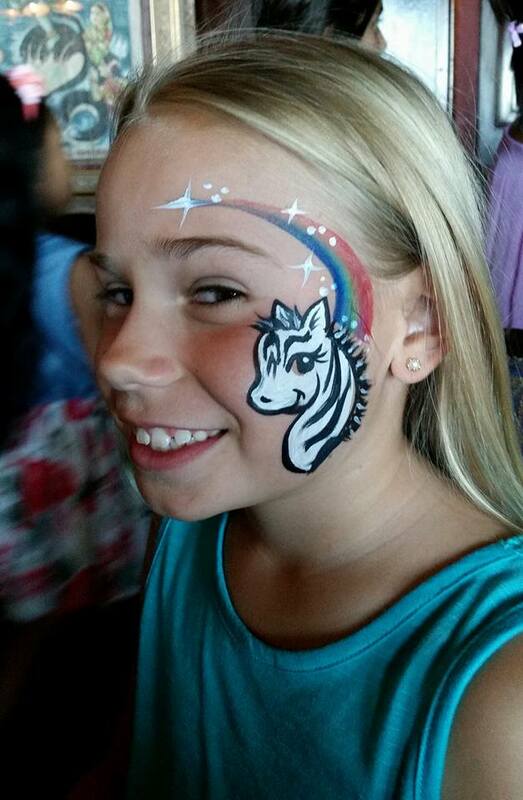 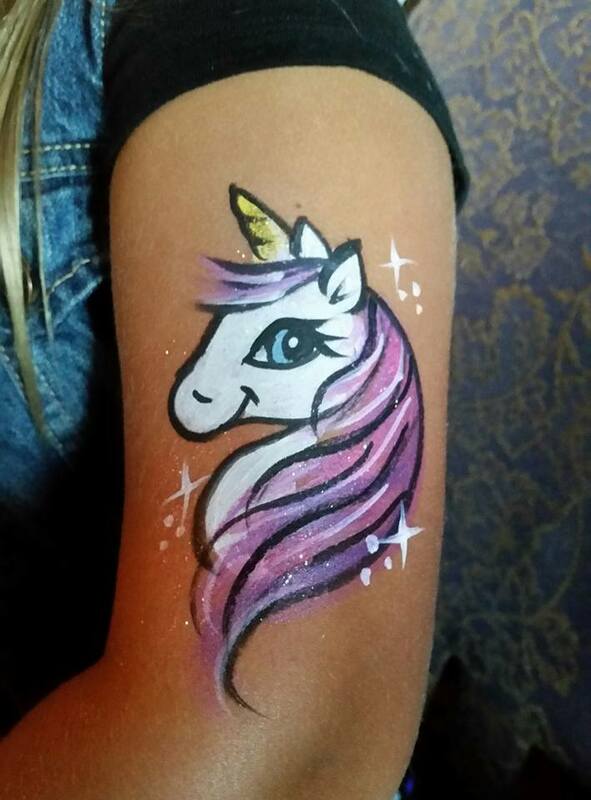 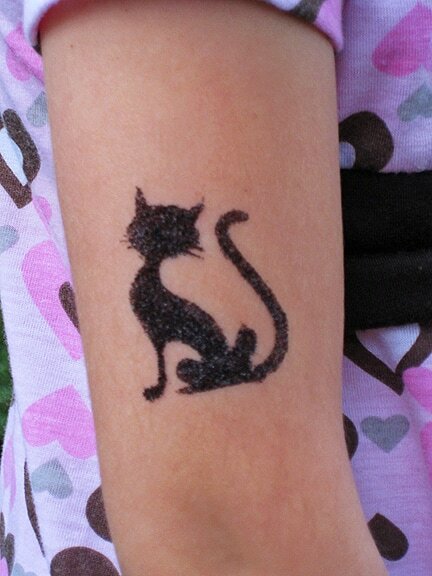 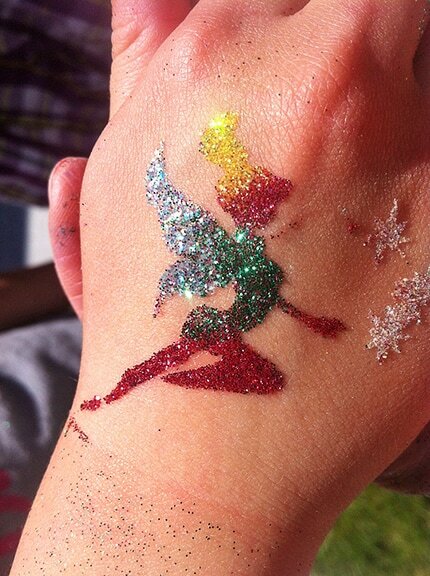 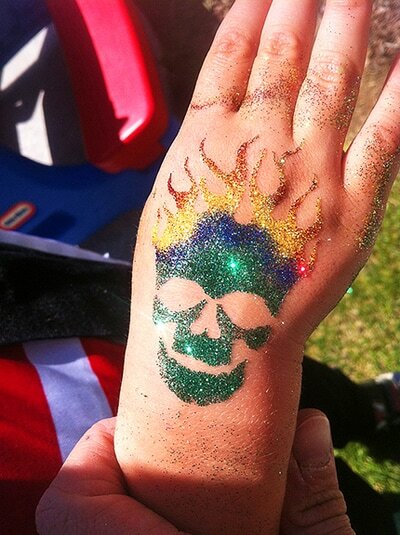 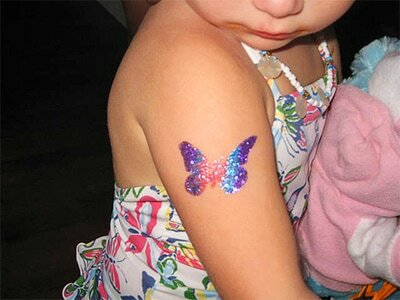 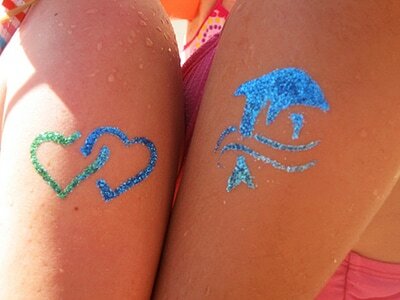 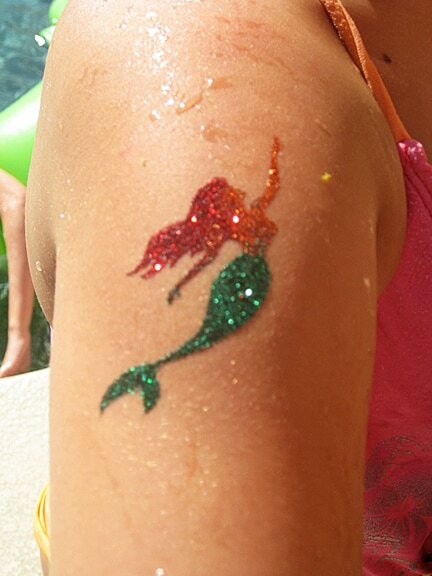 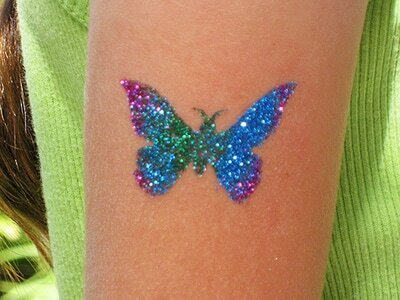 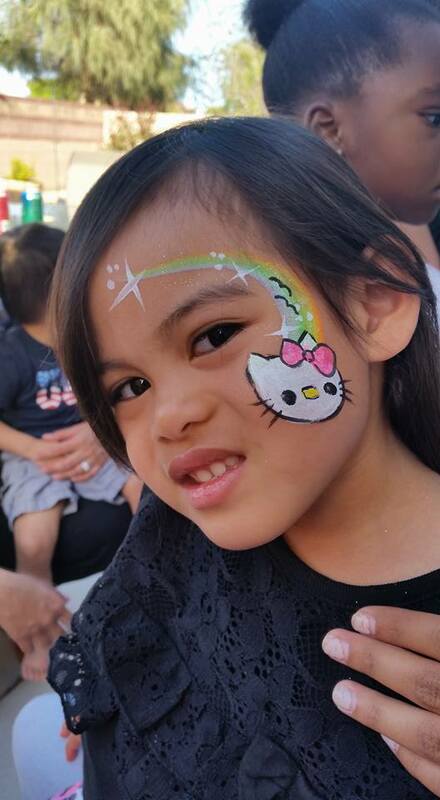 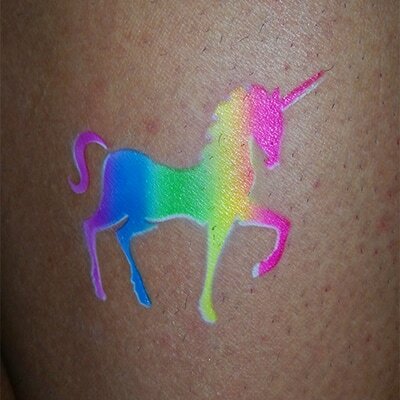 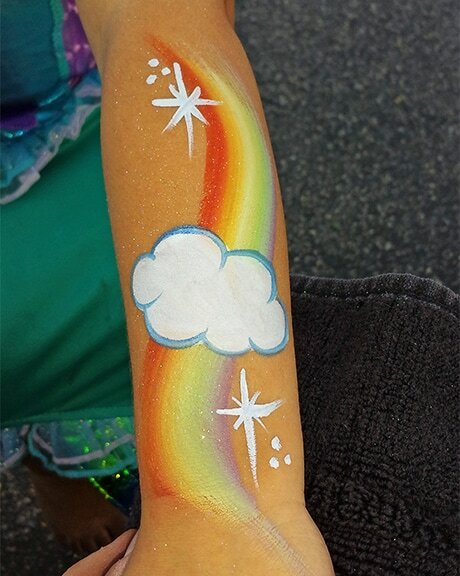 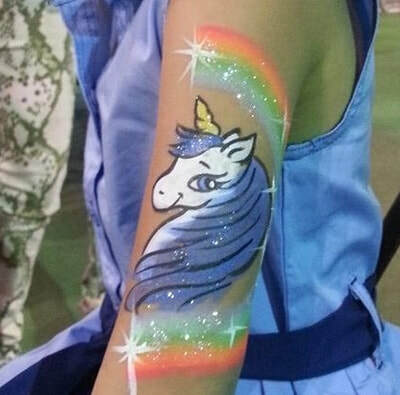 Glitter tattoos can be removed with baby oil, or rubbing alcohol. 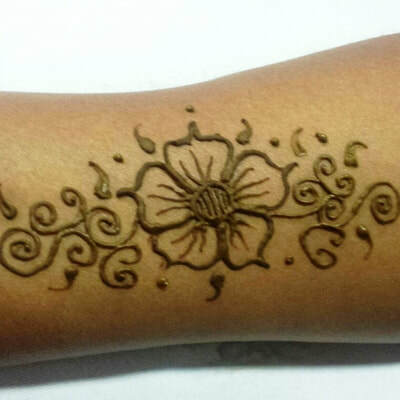 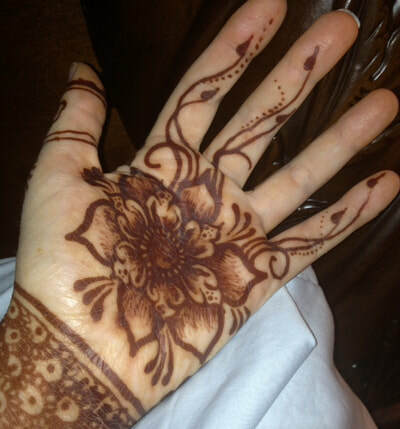 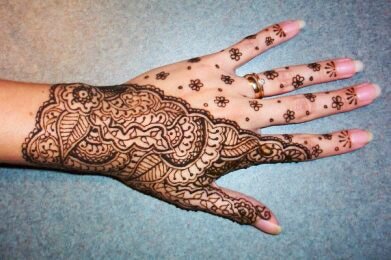 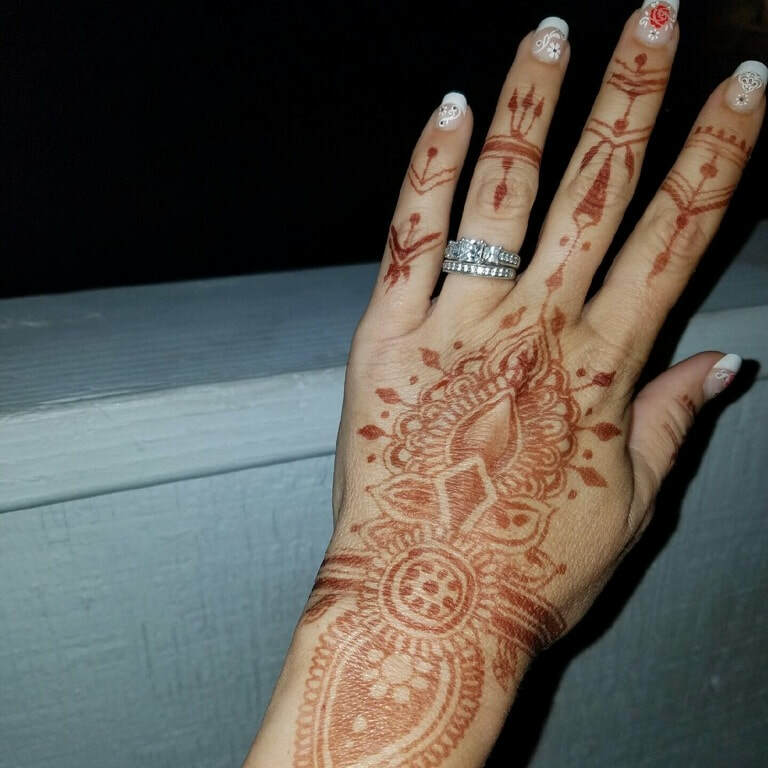 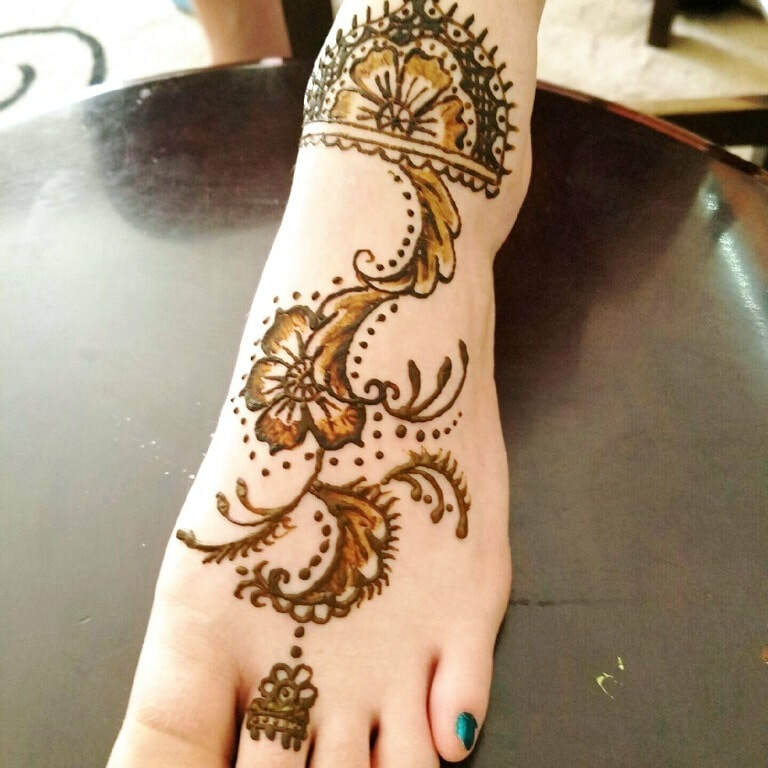 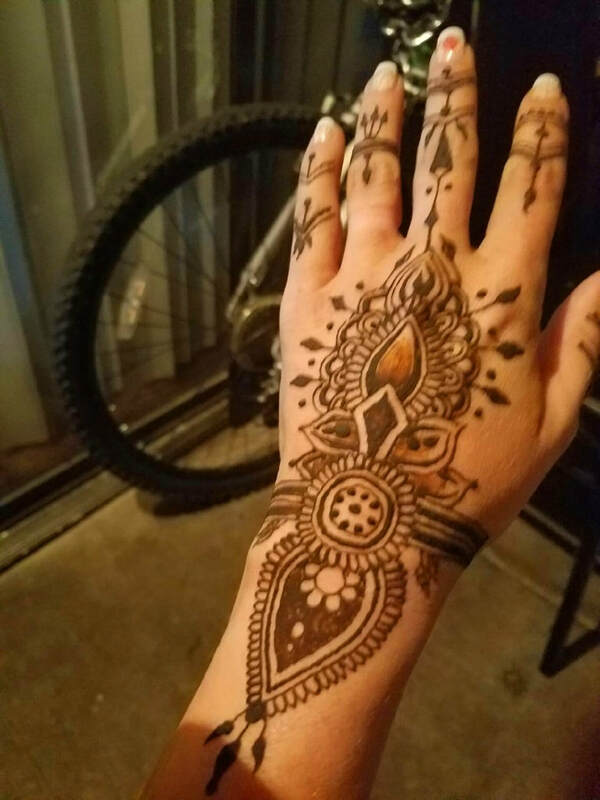 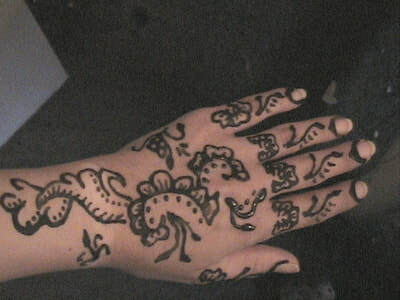 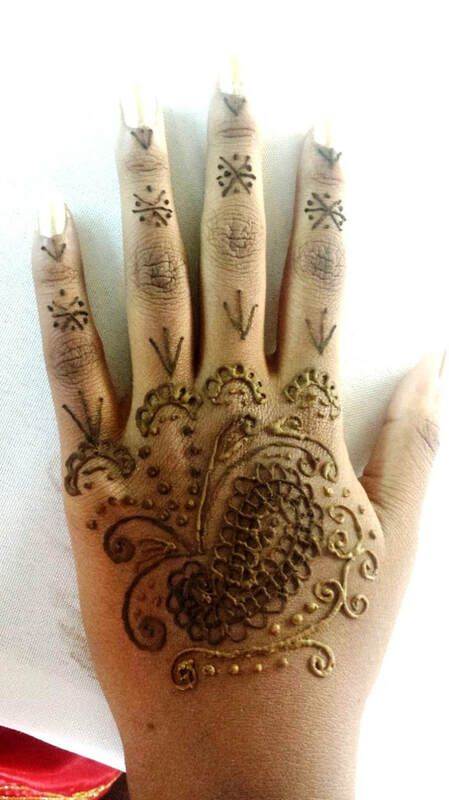 Henna tattoos are typically unable to be removed as they stain the skin and will fade naturally. 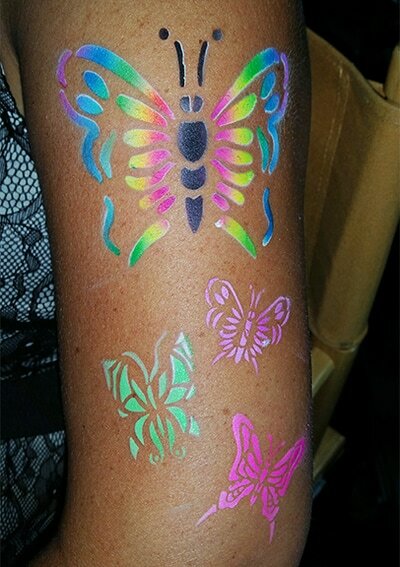 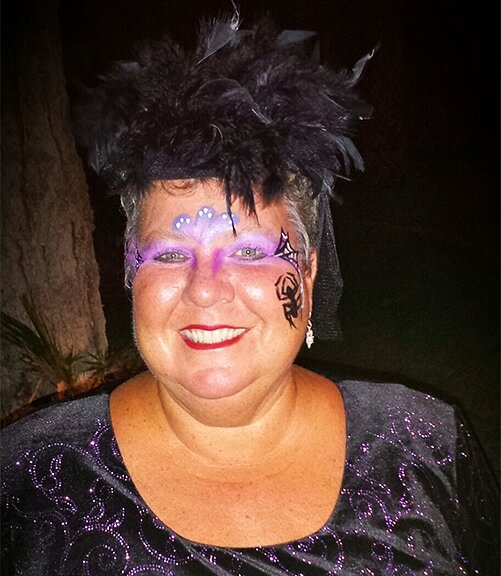 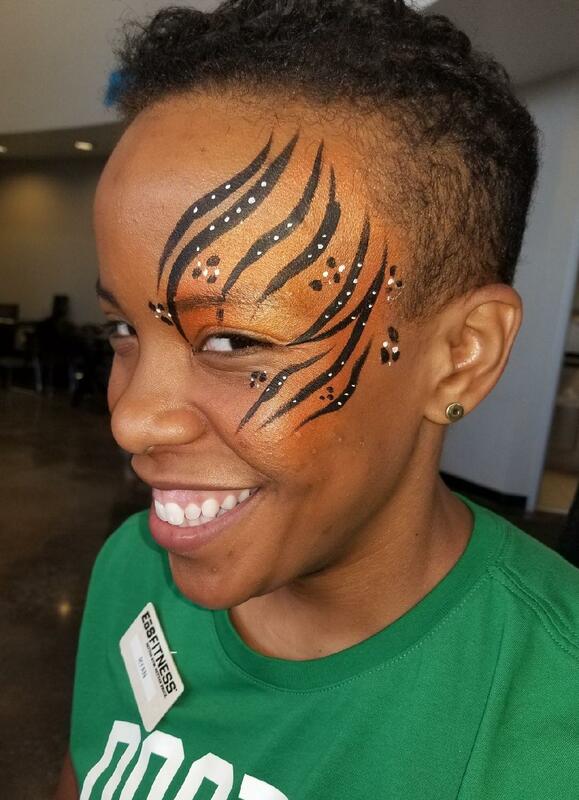 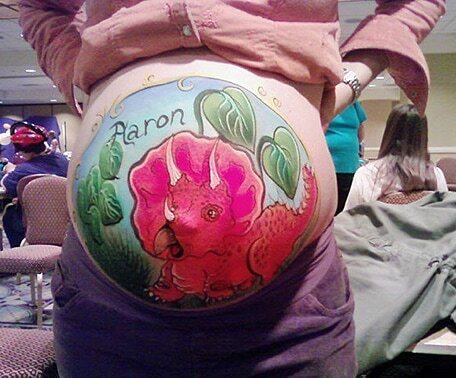 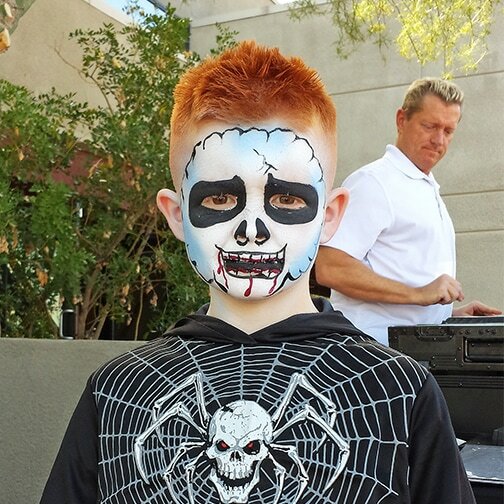 All of the body art pictured was created by our entertainers. 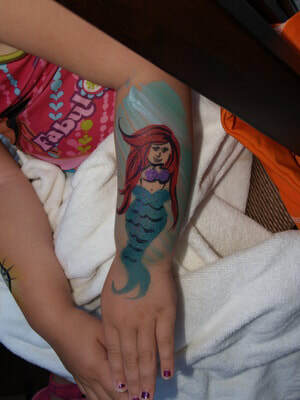 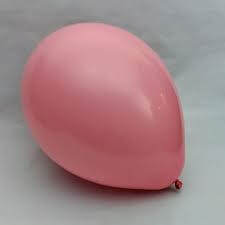 Although most of them are original creations, many have been adapted or inspired from other sources. 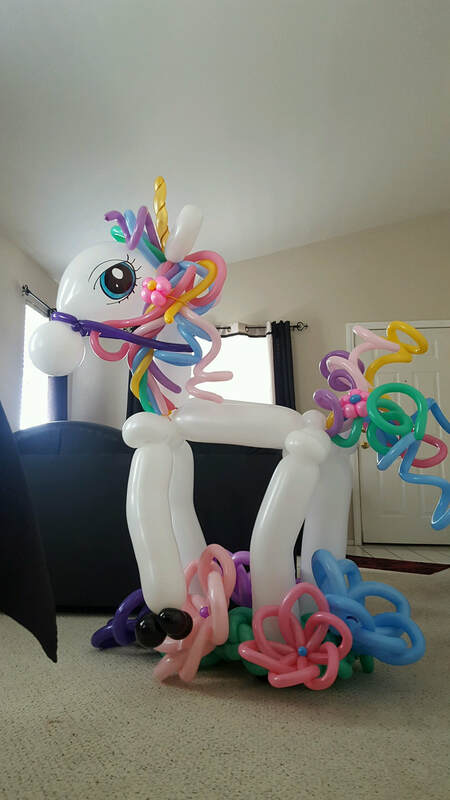 This page is to be used only for the purpose of showcasing the range of skill available in our company and to give ideas to the client as to what we are capable of.